My family and I just returned back from an epic 11 day, 4,130 mile road trip. We traveled from Athens, Georgia, all the way out to Colorado to go skiing, and back to Georgia. To put it into perspective, Athens, Georgia to Juneau, Alaska is only 3,789 miles. Our route included 12 states, about 9 different interstates, countless lesser traveled highways and one 7 mile stretch of dirt road (more on that in a moment). 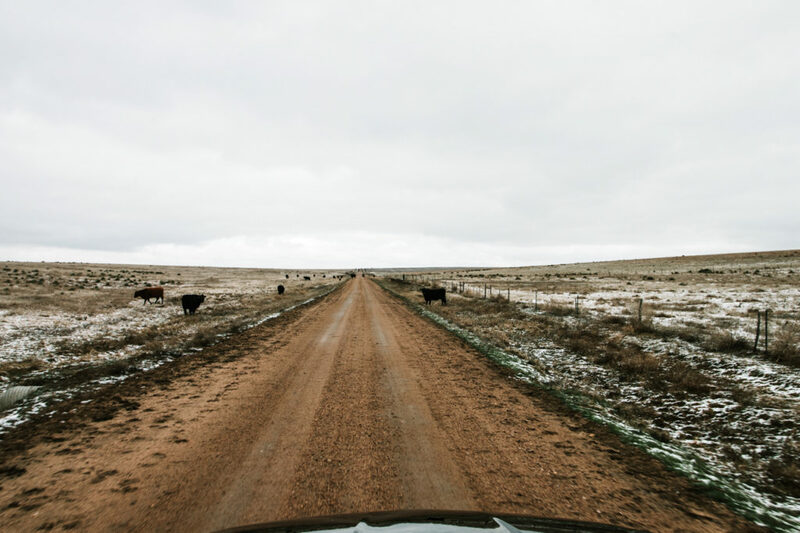 This post is full of photos and our general road trip itinerary as we headed west and then back east. I wanted to share a few travel anecdotes and there are highlights and links to some of the things we did, places we stayed and city recommendations of things to do. 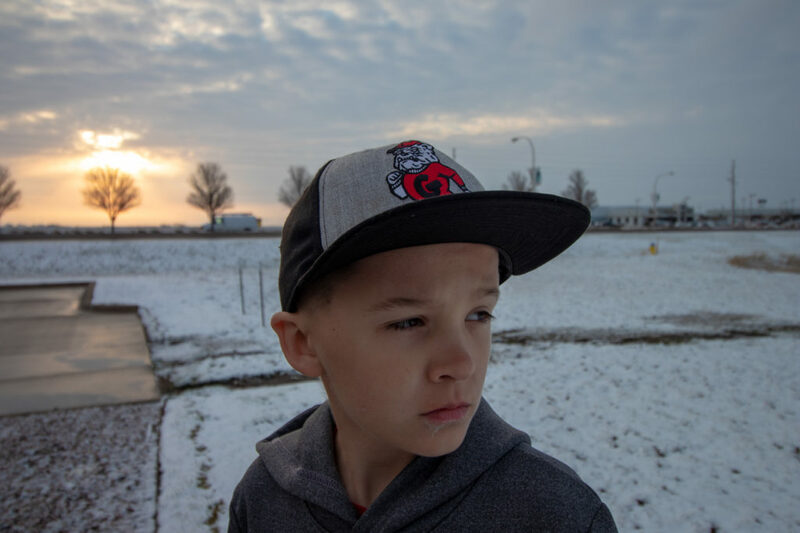 March 28, 2019 | My son, Walker had a baseball game on the day we were set to depart. We decided to wait to start our trip until after his game was over (they won 9-8). 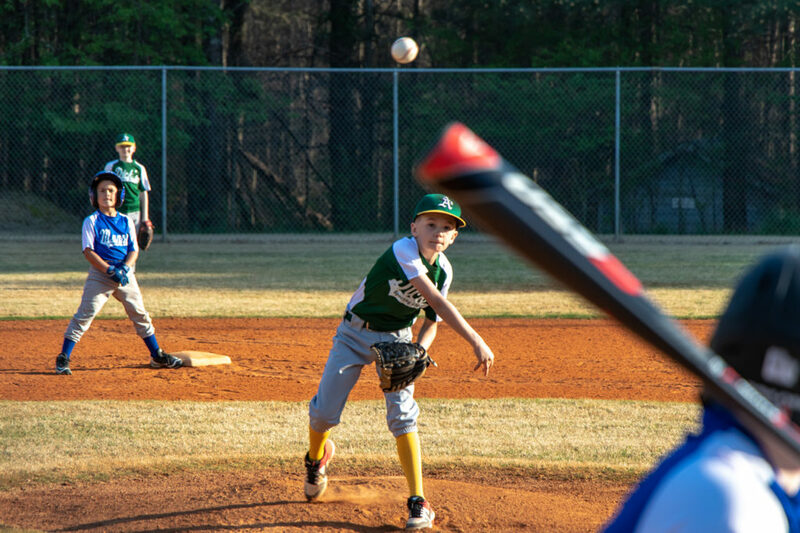 He pitched, had a base hit and scored a run! His game ended around 8pm and we had a tough 5 hour drive staring us right in the face. I told my kids and my wife, Jennifer that this first day would be the toughest drive out of all of the drives. Obviously, I had no idea what I was talking about, but I wanted to set the expectation and the mood of the trip off right. Adversity today, easy driving the next day. I think I had actually convinced myself that the jaunt from Georgia to Tennessee would be harder than the next day’s trip from Tennessee to somewhere in Kansas. March 29, 2019 | That part about the first night being the toughest drive? Yeah, I was definitely mistaken. 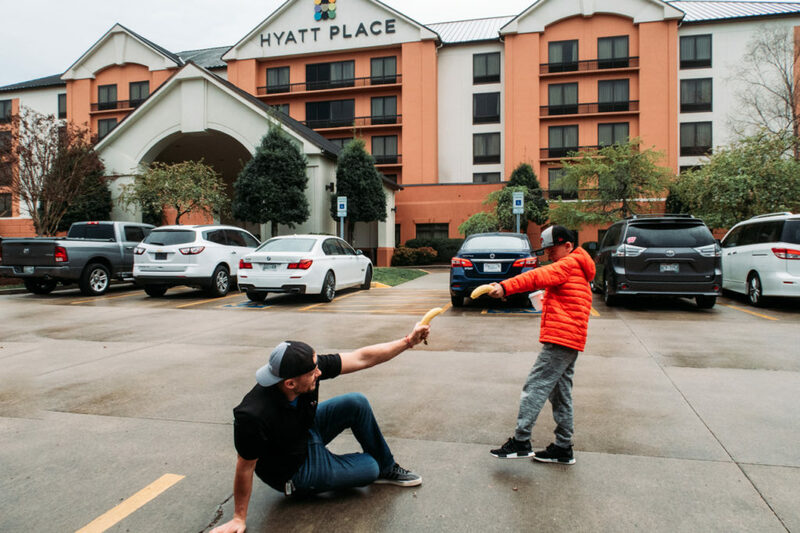 We departed our hotel at 8am central time (Athens is in the eastern time zone), so this was a help for us getting to sleep an extra hour – we grabbed some breakfast at the lovely Hyatt Place in Hendersonville and had the pleasure of grubbing on something called ‘shoulder bacon’. It was like barbecue for breakfast. Recreating a scene from Reservoir Dogs. He had no idea what I was talking about. This drive started out very familiar to all of us. We had made a road trip from Athens to Chicago four years ago, and so far we traveling the same route. So it was cool seeing if the kids remembered anything. They did, in fact. The map took us through northwest Tennessee and into Paducah, Kentucky. Paducah is a border town and lies on the southern side of the Ohio River. On the northern banks sits Illinois. Metropolis is the first town you get to. If you’re studied up on your DC Comics, you’ll know that Metropolis is where Superman resides. 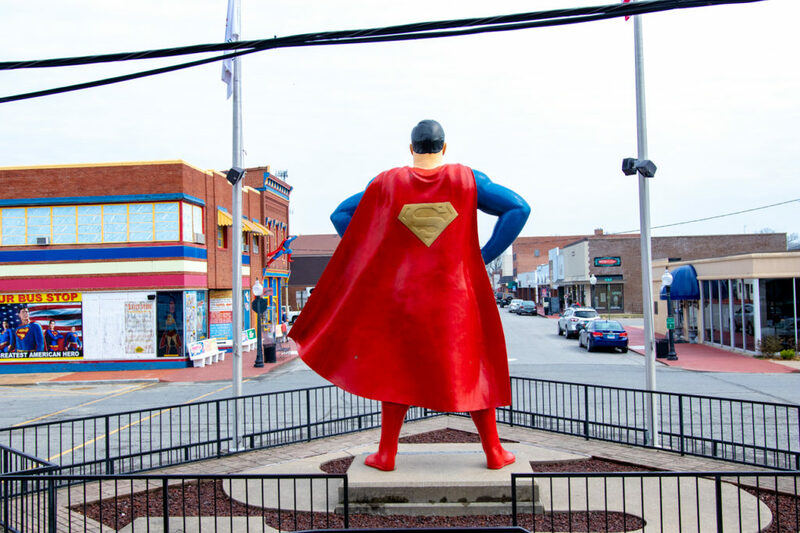 Wouldn’t you know that there is a giant Superman statue in Metropolis, Illinois? Genius right? We had stopped there years before and for nostalgic reasons all five of us just had to see it once again. The 823 mile trip from Tennessee to Kansas started out great. With our early departure, high spirits and clear weather we were pretty excited. 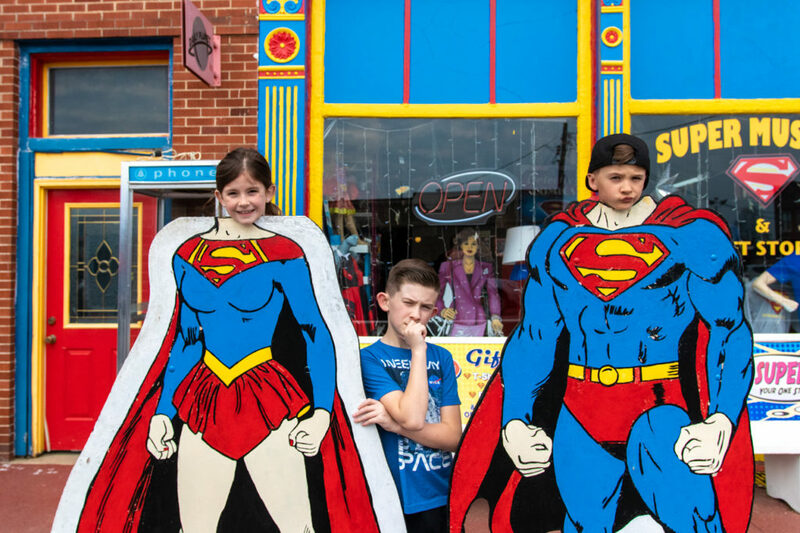 But, as much as we loved seeing the 15 foot Superman statue (it looks bigger in person), the pit stop put us behind on our driving. By noon, we had only been about 150 miles with well over 650 to go. Eventually, we made it through St. Louis, but took the bypass to hook up with I-70 and I never got a good photo of the famed arch. 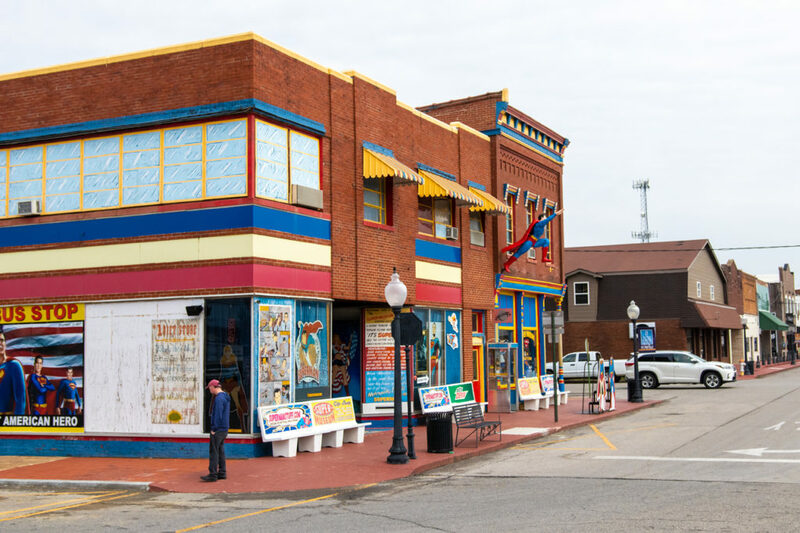 It’s beautiful and St. Louis is a great walking city, but we had seen it before and were ready to catch up on our quest to head west as we began cruising 70+ mph through Missouri with our eyes set on Kansas. 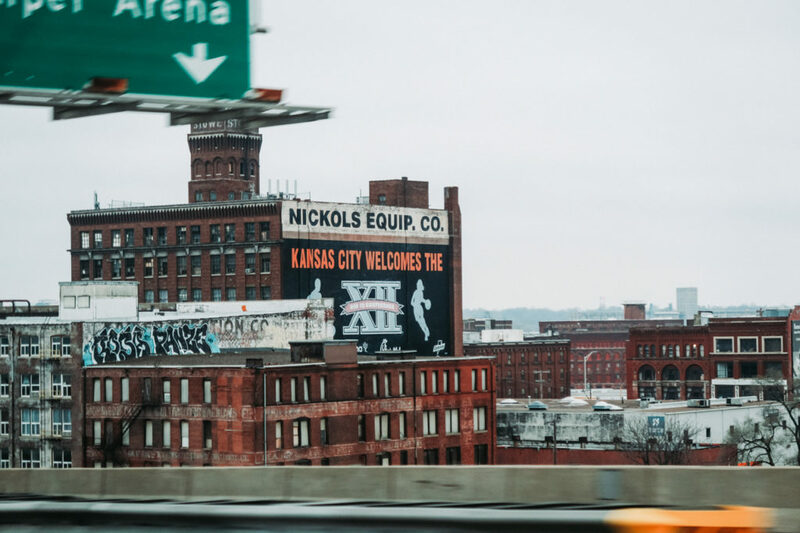 No one including myself had ever been to the state of Kansas before, so once we arrived in Kansas City we debated for a hot second to stop at a famed KC BBQ restaurant. No need. After the shoulder bacon for breakfast, we decided to forge ahead to parts unknown. Kansas City from the car taken by my oldest, Jack. Nice shot Jack! Kansas. What can I say about driving across Kansas? I’ll keep it positive here. All of us were excited because it was a new state to mark off our list of states visited. How’s that for positivity? Honestly, Kansas was tough to gauge – as far as how scenic it was. We couldn’t really tell because the sun was beginning to set and it was quite overcast, but let me share the best part. The speed limit jumps to 75 mph. Living in Georgia, I have never seen a 75 mph speed limit! 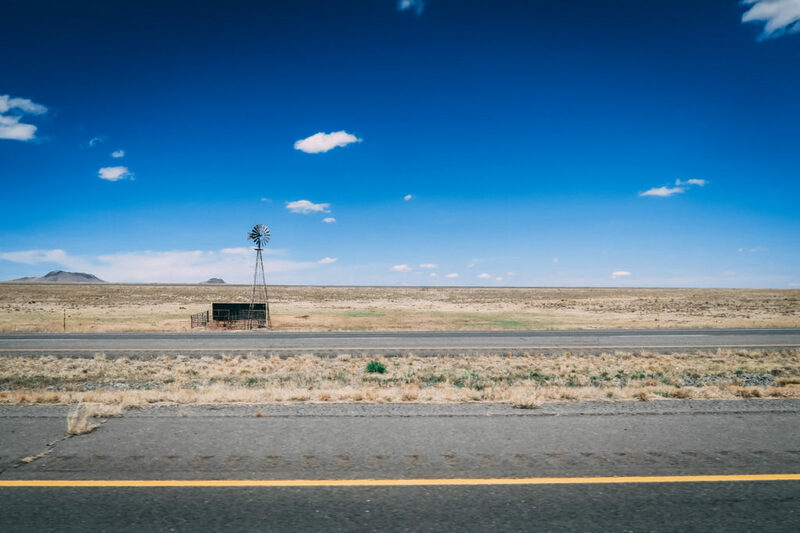 Combine that with flat terrain, and a lesser amount of cars on the road – and let’s just say we made some great time heading west across the plains. But, the weather took a turn for the worse, because #Kansas, of course. Our apps were calling for a surprise snowstorm (1-3 inches). I wasn’t too keen on testing my driving skills or our new Chevy Traverse’s traction control in snow. We made it through Topeka and then Salina. The thought of stopping and getting dinner in Salina crossed our minds, but we were certain we could just hit up the next town. Boy were we wrong. It was getting late. It was super dark – the time was around 9pm and we’d been driving for 11 hours and had unknowingly just passed the last real spot for food and gas. 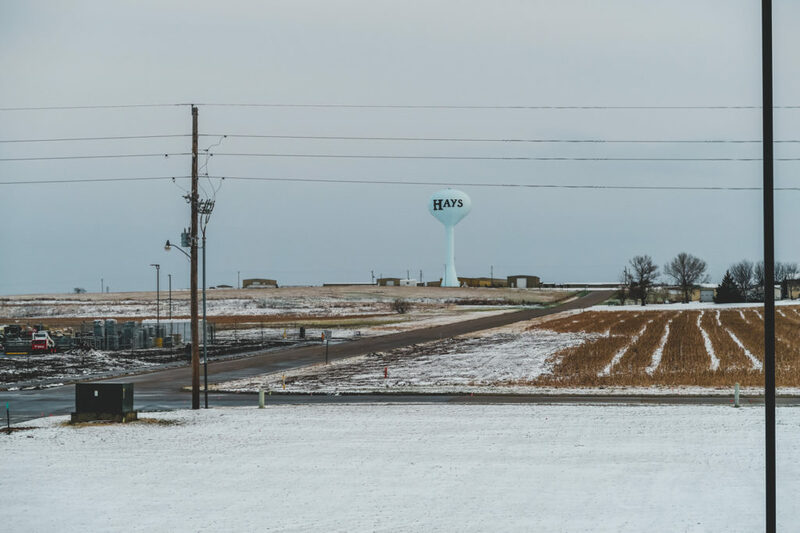 Hays, Kansas is 96 miles from Salina and let’s face it – there’s just not much in between. Eventually we made it to the city of Russell, the snow had become heavier. It was hard to see out the windshield and I was a bit nervous but didn’t want to let on to the rest of my weary bunch know that I was concerned about road conditions and visibility. It’s almost as if everyone silently agreed to not be hungry because of how tense everything got. We eventually saw the exit for Russell at 10pm and noticed a golden arches. We all try to limit our fast food intake, and McDonald’s dinners are typically only good food stops after 10pm when you’re in college. Nevertheless we ate like kings and I was able to book a hotel in Hays during our meal. Eventually, the snow let up a little and we completed our longest day. Relief across all faces after an 823 mile day of driving. 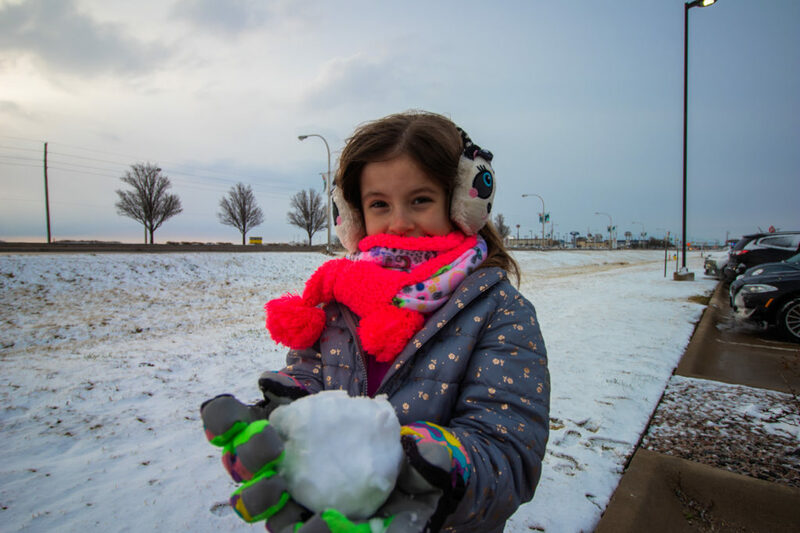 March 30, 2019 | Snow! I added the exclamation point because we love snow. Living in Georgia, we don’t get to see much of it and the kids were pumped to get up and play in the mysterious white stuff. The staff at the Holiday Inn Express in Hays were laughing because most of the people there were completely over the snow for the season, but here come five southerners taking pictures and making loud noises about the snow. 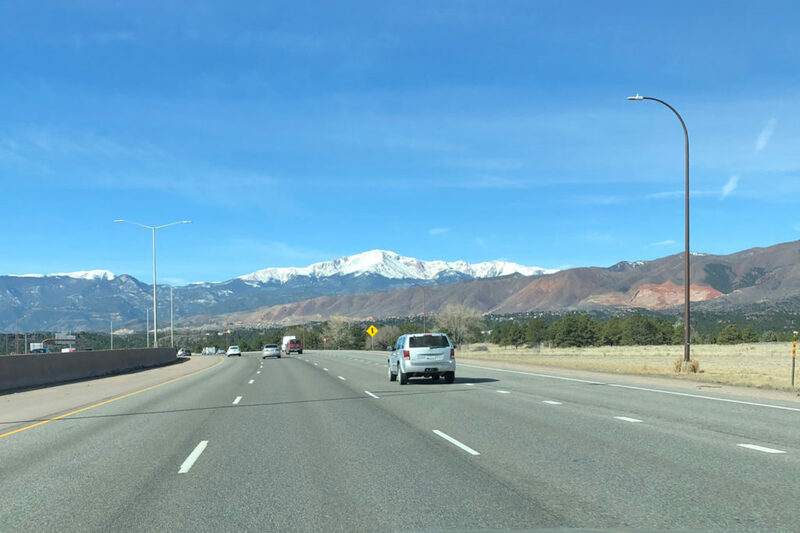 After the harrowing Friday drive from Tennessee to Kansas and a great night’s sleep at the Holiday Inn, spirits were high to make the 393 mile drive to Fort Collins, Colorado. We had just been over 800 miles the day before so a shorter drive towards the Rocky Mountains would be easy right? Well, it was an easy drive – but there was one more thing I wanted to do before we could say, “we’re not in Kansas anymore”. Before we left Georgia, I was researching, looking for anything any place to stop and see along the way. My criteria was that it had to be unique, easy access to the highway and something you just don’t see everyday. 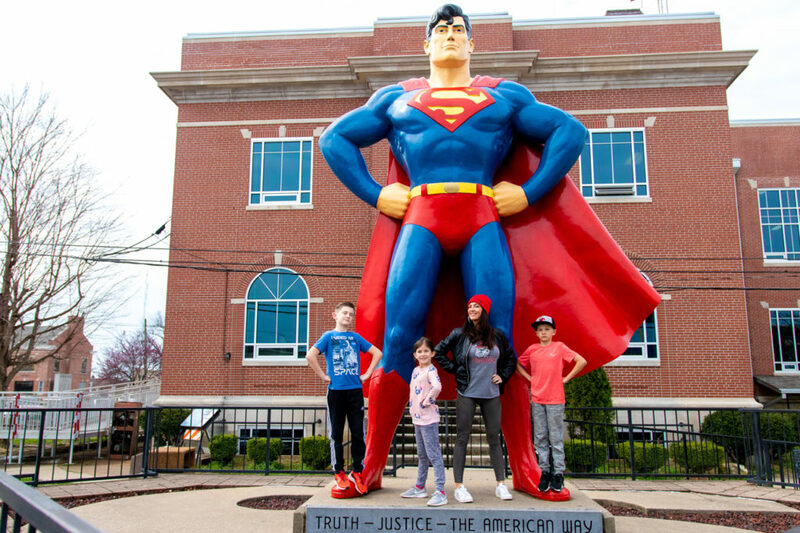 Remember how I mentioned that we had visited the Superman statue before? This thought process was the same approach I took back in 2015 on our drive to Chicago. Superman was on the route, it was definitely unique and something cool to tell people that we had been there before. The last main town in Kansas as you head west towards Colorado on I-70 is Colby, Kansas. But, before you reach Colby, there’s Oakley, Kansas. 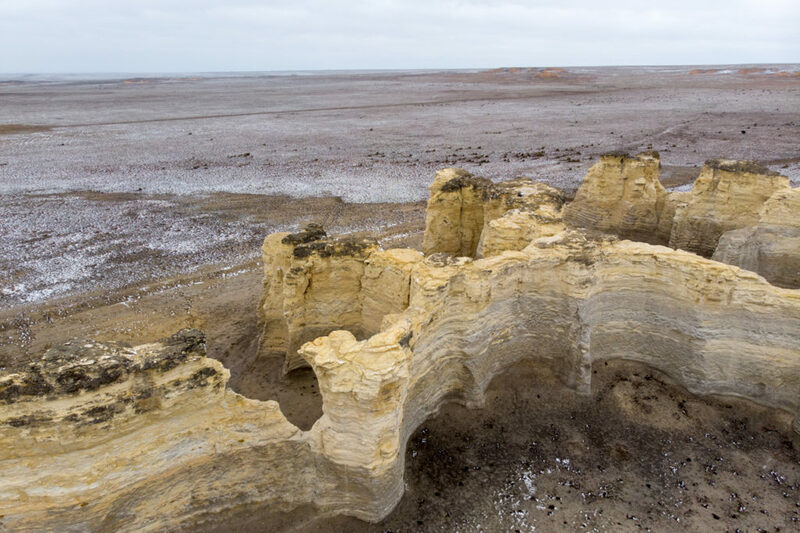 About 28 miles southeast of Oakley lies one of the strangest, most remote sights you’ll ever see. So, with a little convincing on my part, the five of us set out to see Monument Rocks. The road to Monument Rocks is a 7-mile dirt road in the middle of nowhere. 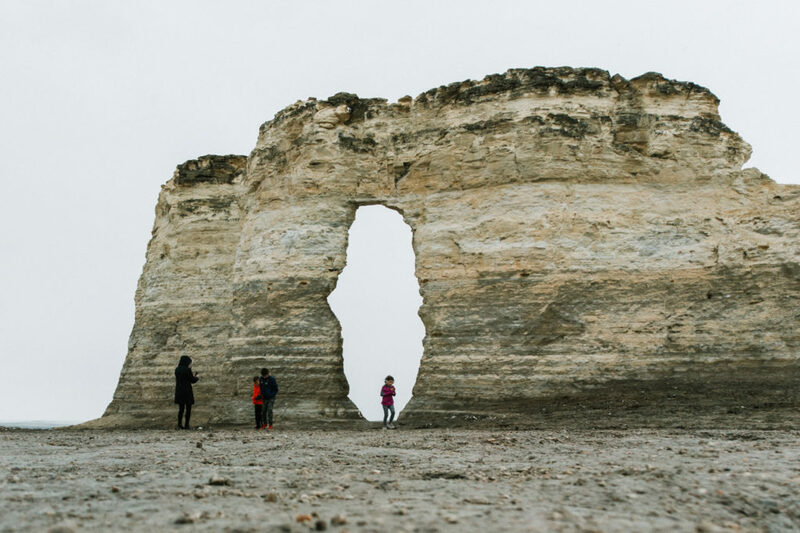 Monument Rocks is/are 80 million years old, they rise upwards around 70 feet high, and they’re primarily made out of chalk. Hence, sometimes they’re referred to as the Chalk Pyramids. When you glance at it on a map, getting there looks fairly easy. But, I’ll warn you, the last seven miles are rough. You turn off of highway 83 south and head down a rocky and muddy narrow road. It’s chock full of strange looking trees, grasslands and roaming cows (we literally had to stop while they crossed the road). It was deserted when we arrived late morning on the 30th. The weather was overcast with light flurries and the temp was around 37º. 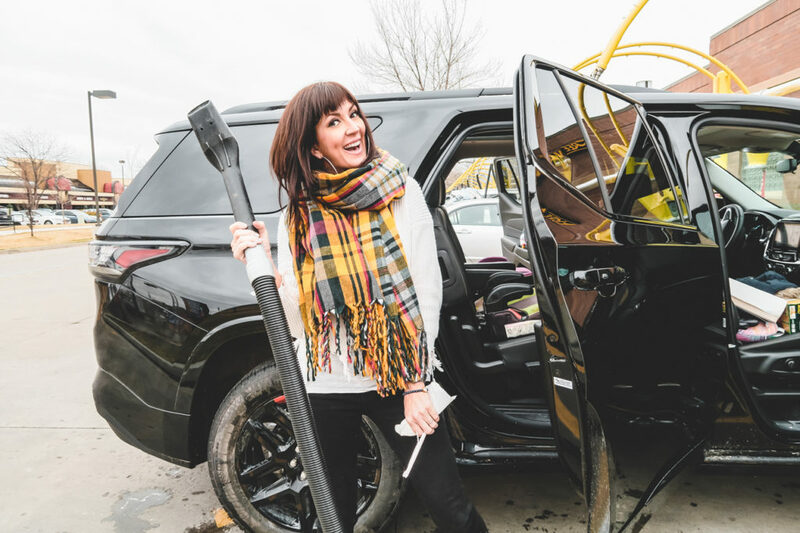 Jennifer’s brand new Chevy Traverse would never be the same after that trip. But, wow was it worth it. Check out these otherworldly photos. I packed my drone for the trip and wanted to create a drone boomerang to post on Instagram. It might be one of my favorite Instagram posts to date. See for yourself. 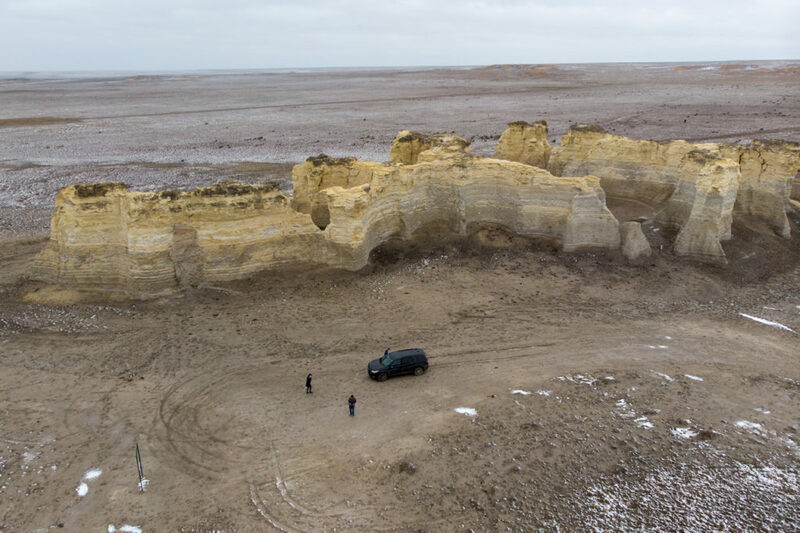 Leaving Monument Rocks, our once shiny and new Traverse looked like it has been covered in volcanic ash. 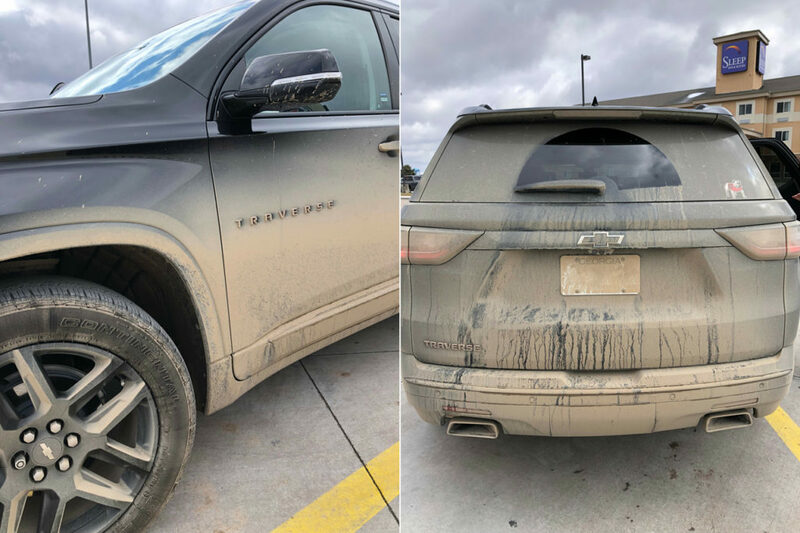 The mud was chalky and very sticky and I had to promise Jennifer we would find a car wash somewhere in Fort Collins before we met up with our friends. Yes, friends. Our former neighbors here in Athens, Georgia recently moved out to Fort Collins and we were set to go out and let them guide us around the city. Arriving in Colorado was a welcomed feeling. 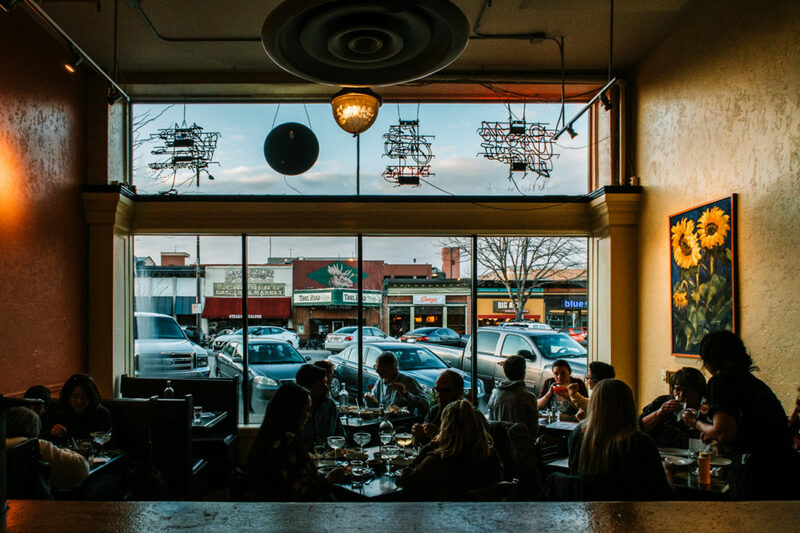 Fort Collins is a beautiful college town about 65 miles north of Denver and nestled directly east of what the locals call the “front range” of the Rocky Mountains. 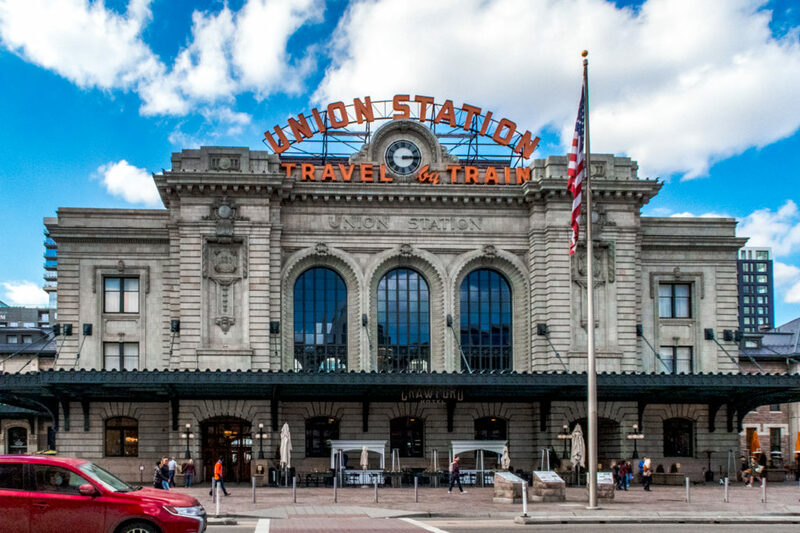 It’s clean, eclectic and has a ton of great restaurants, hotels and local breweries. I did make good on my promise to get the car cleaned up before seeing our Athens friends. The evening was spent catching up, drinking wine and local beers before dinner and enjoying seeing our kids play with their old friends. Speaking of dinner we hit up one of the best tex-mex restaurants Fort Collins has to offer. The Rio Grande Mexican restaurant was beautifully decorated and if you go there make sure to order the smoky Mezcal Margarita and the beer braised carnitas tacos. Rio Grand Mexican | Ft. Collins, Colorado looking towards W. Mountain Ave.
As our first night in Colorado ended I was immensely satisfied as I reflected on what the most recent 48 hours had been and where all that planning and driving had brought us. 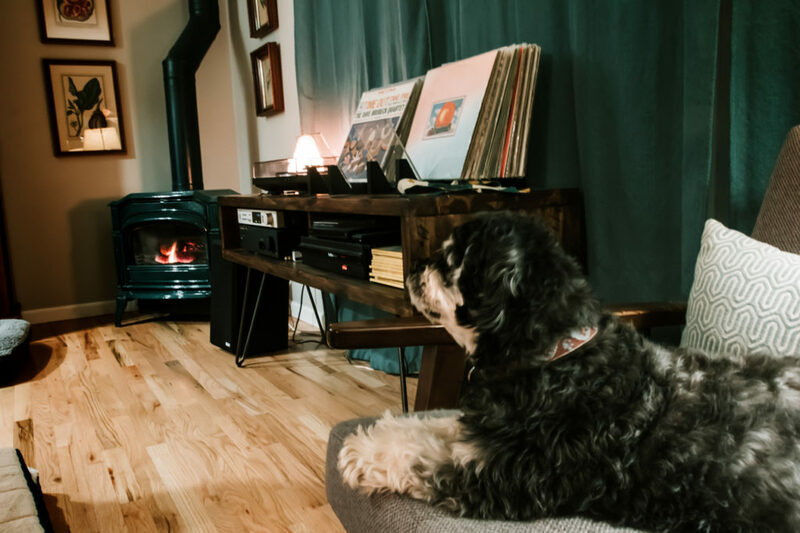 To a lovely city over 1,000 miles away from Athens, sitting with long-time friends at their new home and enjoying a simple evening listening to Allman Brothers and REM records by the fire. A feel of Athens in Colorado with REM and Allman Brothers records playing. March 31, 2019 | Upon arriving in Fort Collins (elev. 5,003), I was most concerned about how cold it was. I was freezing, yet most locals were wearing shorts and a light long sleeve shirt. 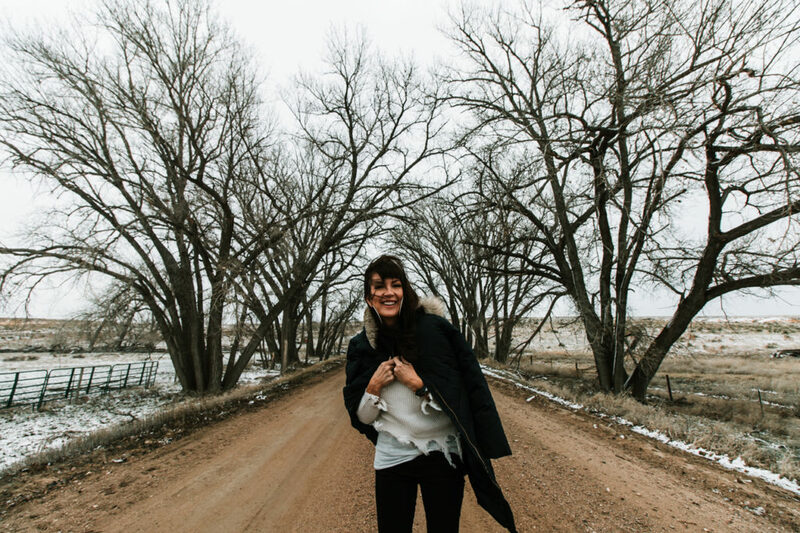 “It’s the lack of humidity in the air.” – said the locals, but I was still very cold and was beginning to feel the effects of the higher altitude. Most of the time, altitude sickness makes you think of being nauseous. It wasn’t like that for me. I couldn’t catch my breath, I was cold and I felt a little absent minded actually. “Drink plenty of water.” – I was told. I did just that and it seemed to be the remedy at least in short bursts. (I’ll go ahead and give you a tip. As far as I’m concerned the only way to deal with high altitude is to just let time take care of it and drink plenty of water too). 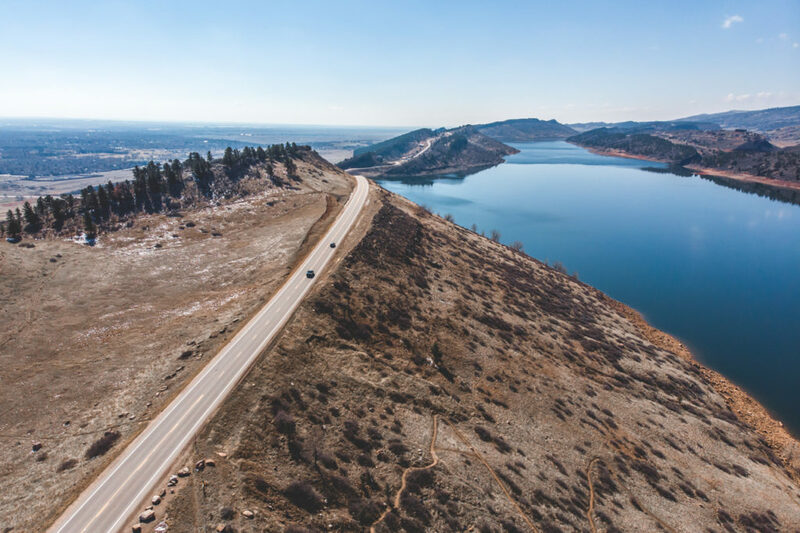 The elevation change can be seen looking south at Horsetooth Reservoir. 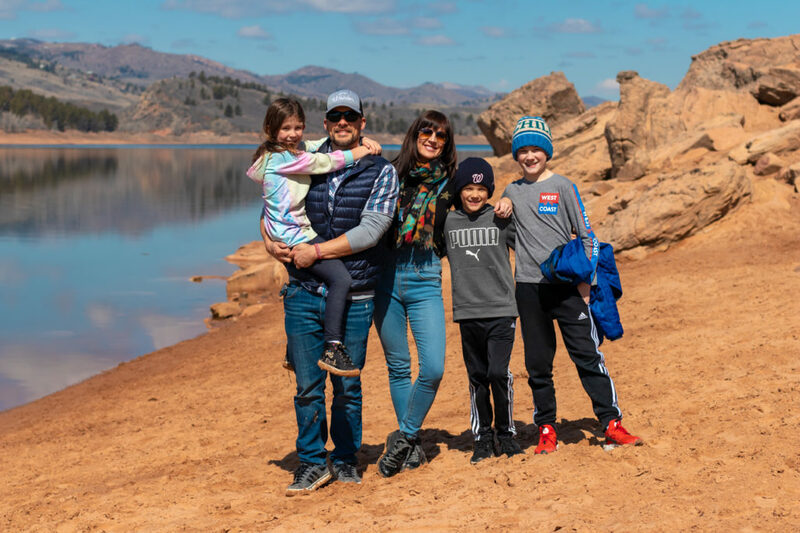 Before we left for Denver, our gracious hosts decided to take us to a beautiful spot in Fort Collins called Horsetooth Reservoir. It offers up gorgeous views of the mountains to the west and the city of Fort Collins to the east. The reservoir is about 6 miles by 1/2 mile and did I mention you can hike down to the shore? I wouldn’t suggest it when there is ice present, but lucky for us, it was just warm enough that most of the ice had melted. But man was it muddy. My advice would be to take plenty of photos or video at the top and then make a careful walk to the shoreline because the beauty is worth it. And, if you have kids, they’ll love playing in the sand and exploring the rocks. 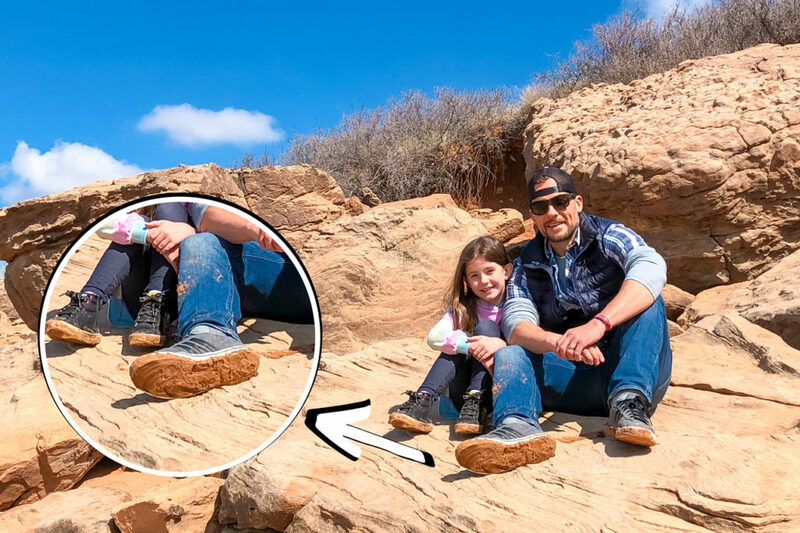 But definitely be cautious and keep your eye on your kids the rocks can be dangerous. Oh, yeah, wear proper cross-training or hiking shoes. I didn’t and it was a slippery endeavor. My Adidas just weren’t cutting it. As we said our goodbyes to our gracious hosts and the beautiful city of Fort Collins, we drove south to Denver. The trip is about an hour down I-25 and despite the traffic (even on a Sunday), the speed limit is 75mph and we made good time. Denver feels cool. I don’t mean temperature wise, it feels like a cool place to visit, hang out, or stay. I set my destination to Coors Field. The Rockies weren’t playing, but the stadium is right in the center of downtown and I figured it was a good beacon for me to head towards. What’s amazing about Coors Field is how seamlessly it assimilates into the city landscape. There was no hotel booked and the five of us were planning on having dinner with another friend of mine later that evening so we had a few hours to kill and found the perfect spot to do that. Union Station. Union Station is that type of central hub you wish every city had. You can dine, drink rosé, grab a coffee or just people watch for hours and be perfectly content. You of course can also catch a train there too. We were there for the wine (my wife), the coffee (myself) and to simply recharge after our morning hike and days of driving. The couches and benches offer up plenty of space to stretch out and when you’re inside, you feel like you’re in an elegant throwback venue (indeed you are, it is 100 years old) and you can feel the history around you. They even have a lovely shuffleboard game to play! This type of entertainment allowed our kids to be entertained while Jennifer and I just sat back and soaked in the beauty of this fine architectural marvel. 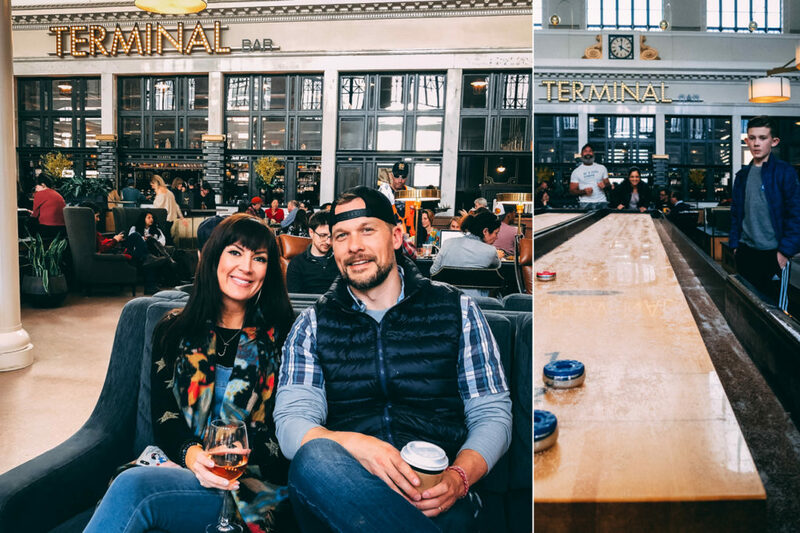 Union Station in Denver offers cocktails, coffee, hotels, dining and shuffleboard! 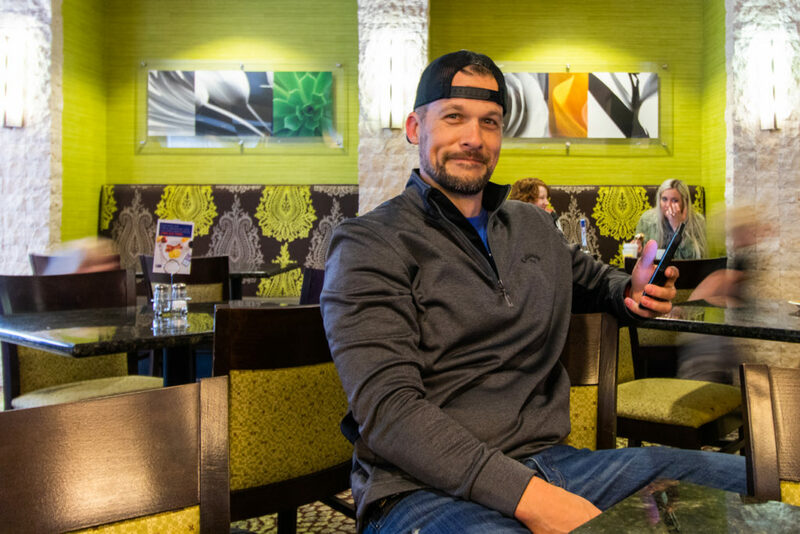 After our two hour respite we met up with more friends for dinner and then hit up a local hotel for a much needed night’s rest because Monday was the day we’d head on up to the Rocky Mountains to start our ski vacation at Keystone Resort. April 1, 2019 | April Fools Day began with my kids and me conspiring to tell Jennifer that checkout was 9am. She fell for it and we were able to get on the road just a little quicker because all of us were ready to see more snow and get to our Airbnb up at Keystone. Keystone Resort is located in Summit County, Colorado. The main access city for Keystone is Dillon, Colorado. 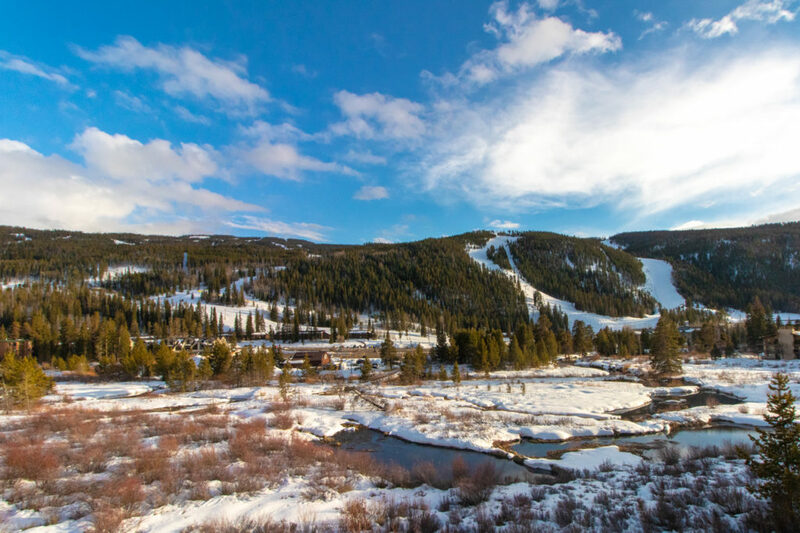 It lies about 6 miles to the northwest of the resort and is super-convenient because of it’s close proximity to I-70. 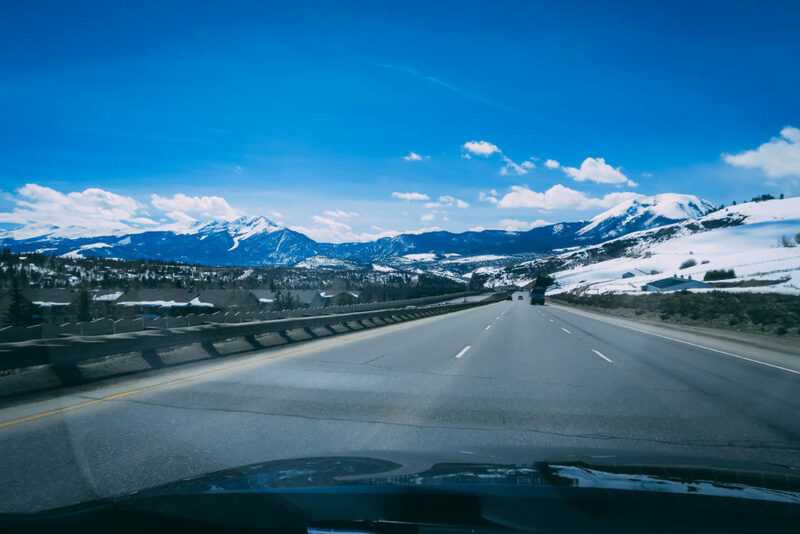 The drive from Denver is beautiful, filled with steep grades and curves as you would expect for driving up to the mountains. I-70 West in Summit County, Colorado. I had never booked with Airbnb before. Despite the fact that I’m a filmmaker, photographer and practitioner when it comes to anything social media, Airbnb had always been a roadblock for me mentally. I suppose I was more old-school with my thinking. Travel = stay in a hotel. Words cannot express how pleased I was when we arrived at Keystone and checked into our Airbnb which would serve as our home for the next three days. It was easy to find. The property was beautiful, clean and within walking distance to the lifts. How much was it? $524.81 for a 2 bedroom, 2 bath corner unit condo with gorgeous mountain views and all of the amenities you could ask for. We were there for three nights and really, it came out to be cheaper on average per night than some hotels we stayed in. The Airbnb hosts (Melanie and Brandon) really made the difference. They provided a folder that answered every question imaginable from best places to eat to how to operate the remote control fireplace. I took some interior photos, but the ones they have on their listing are beautiful so I’ll just link to their site. View from balcony of the Peru Express lift, Last Hoot and Go Devil runs. It was late afternoon and we needed to grab our ski equipment so we could get an early start the next day. A local friend of mine encouraged us to rent our ski gear in Dillon – a short 10 minute drive from our Airbnb. This was a great call because of the savings which I figured at about 40% versus renting at the resort. The guys at Virgin Island Ski Rentals were fast and very thorough as we were fit for boots, poles, skis and helmets. The cost for five of us to rent for two days of skiing ran around $220. 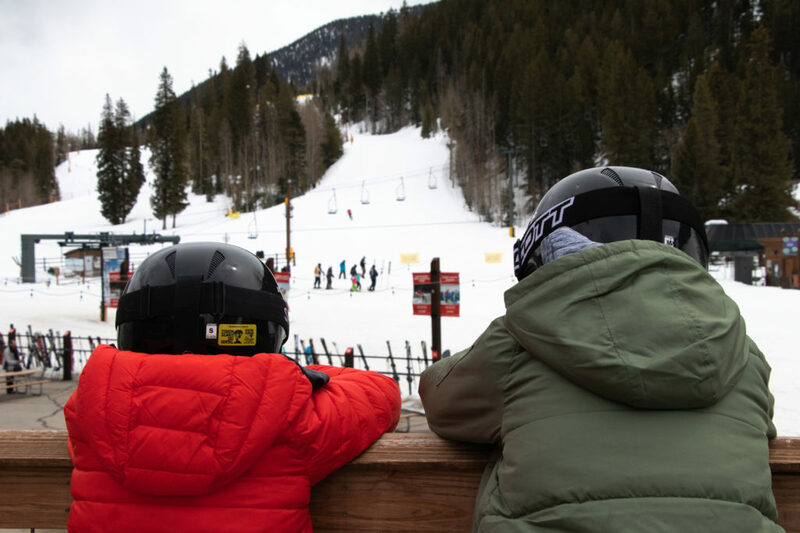 Dillon and it’s neighboring city Silverthorne offer plenty of restaurants, grocery stores and shopping so even though you’re staying at a ski resort you don’t always have to pay ski resort prices. After securing our rentals we stopped off at a local Target to get a few provisions for the next few days. This allowed us to return back to our cozy Airbnb, pull out a board game, make a frozen pizza and get ready for our first day on the slopes. 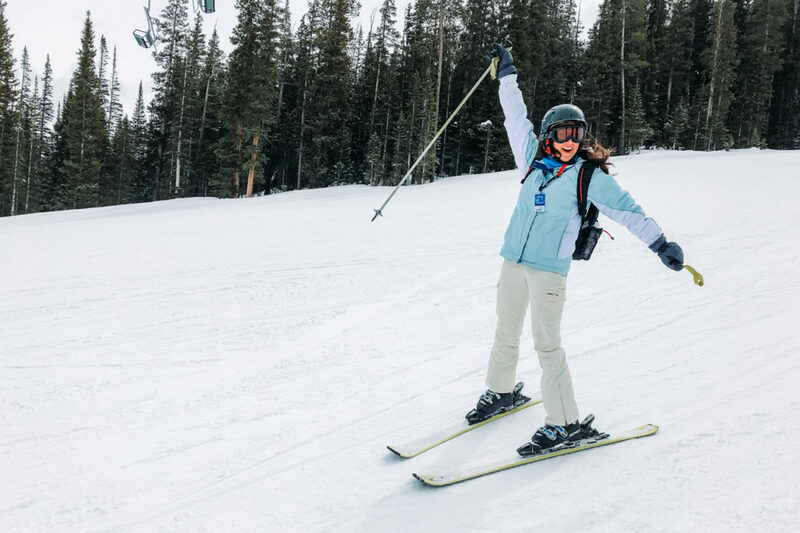 April 2, 2019 | The ski season at Keystone Resort typically runs from November through the first week of April. Yes, in my opinion, we caught the mountain at the perfect time of year. The nights were cold as the temps dipped down into the 20s and we even woke up to a dusting of snow each morning, but the afternoons were awesome! Mid 30s to lower 40s skiing in Colorado is a dream. 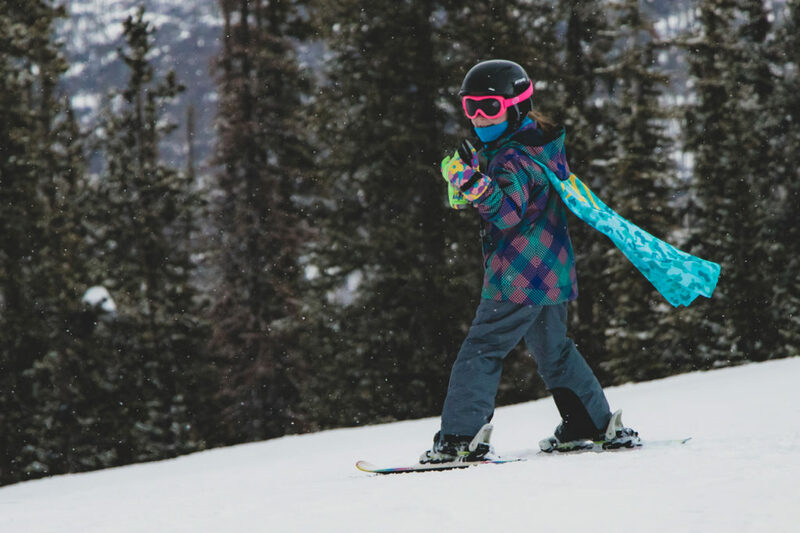 Keystone prides itself in its thousands of acres of skiing, groomed runs and impressive snowpack. 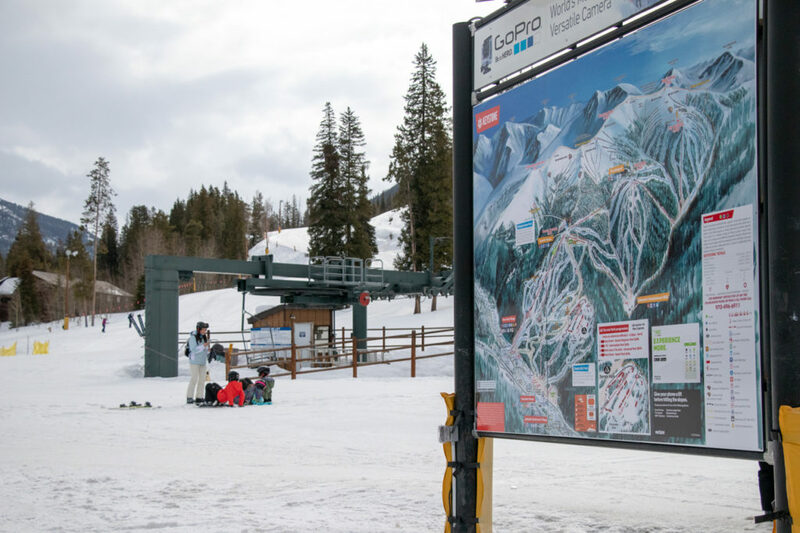 Lift tickets are going to be expensive anywhere out west and Keystone was no different. 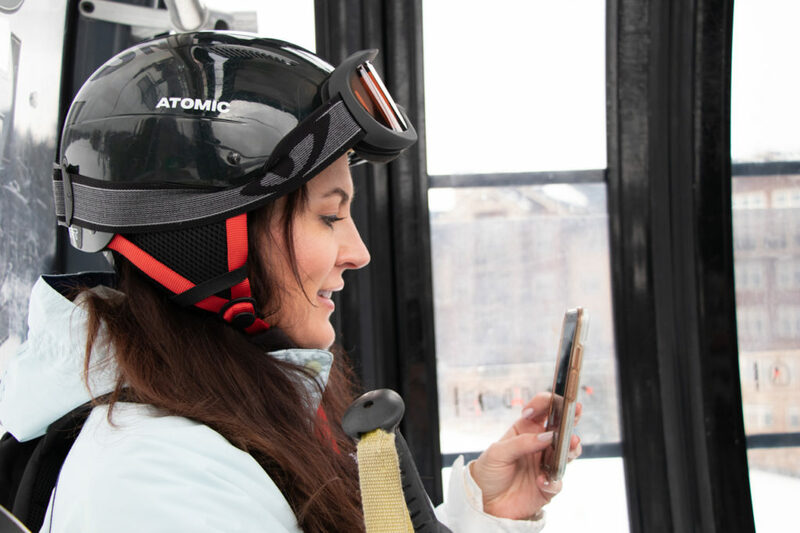 However, purchasing lift tickets early will save money and we saved on ours. 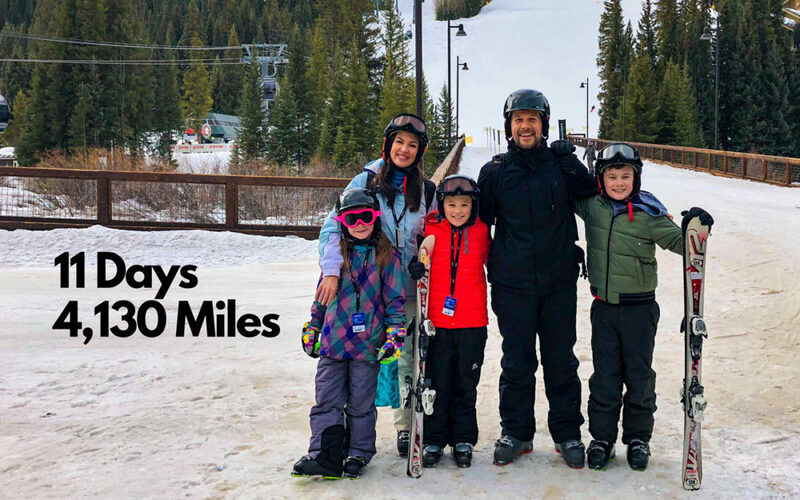 Without doing too much math here, the cost for all five of us to ski two consecutive days cost us about $95 per person per day. To give some perspective a few weeks back we all went to Six Flags Over Georgia and that ticket ran about $60 per person. I’ll put it this way, we saved up and were prepared for resort prices. 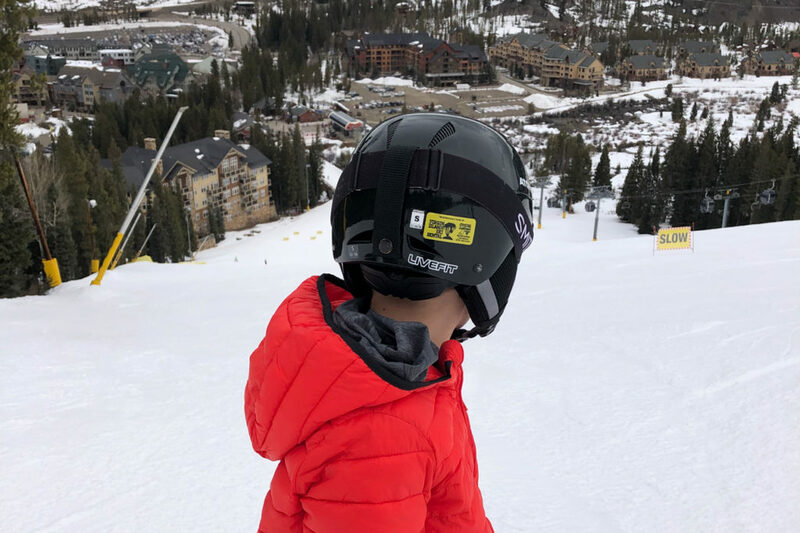 Seeing how much our kids loved skiing in Colorado for the first time ever was worth the price of admission. 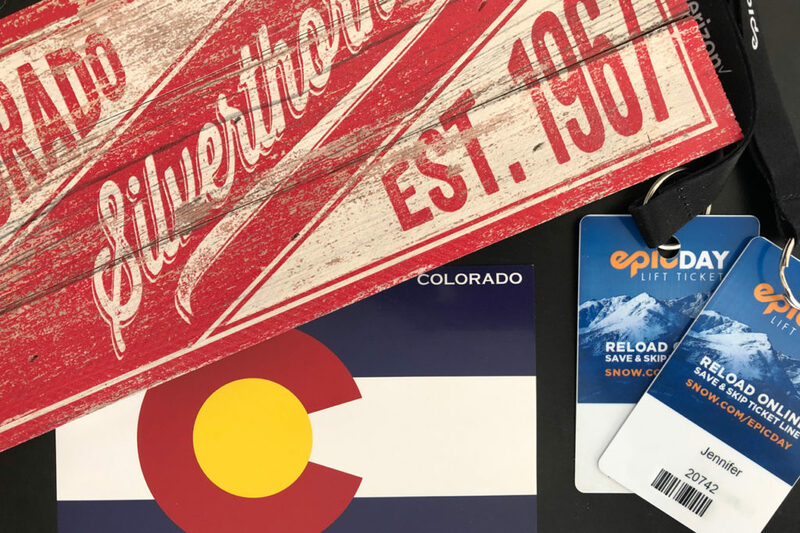 Epic Day passes are the best way to go. You can choose the resorts you ski at. We strapped on our gear and decided to walk to the Peru Express. It took about 15 minutes – mainly because of our own direction mistakes. The lift dropped us off about halfway up the mountain close to where the greatest family run in ski run history intersects. The five of us caught Schoolmarm and spent the next fifteen minutes traversing our way down to the River Run Gondola. How much is quality time with your family worth? I’d say it’s priceless and throughout the rest of the day we made about six full runs down the mountain. Only six runs? Yes, Schoolmarm is 3.5 miles long and I’d guess it took us about 20+ minutes to traverse the slopes each time. Sometimes longer, sometimes shorter. But with me taking tons of photos and yes video (I skied with poles in my left hand and held the camera with the other) I slowed our daredevil kids down a lot. The River Run Gondola is a gem. 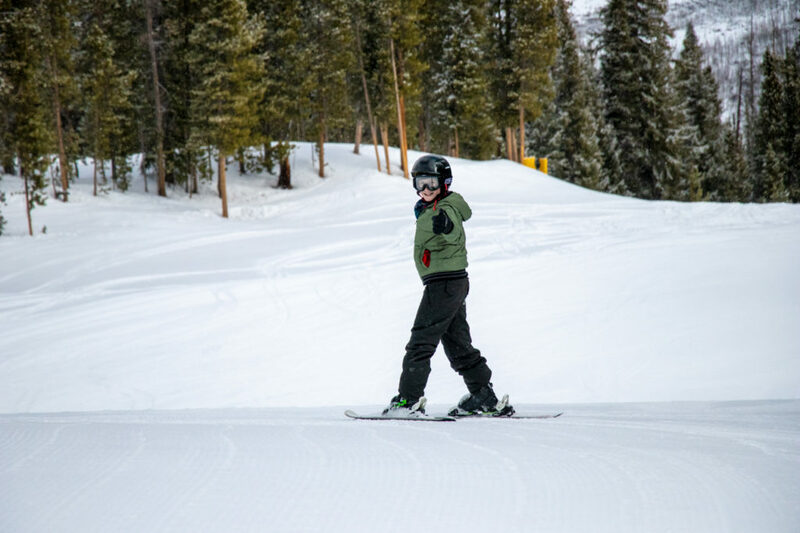 It is fast enough to reach the summit of Dercum’s Peak (11,640 ft), but takes long enough for you to catch your breath and talk about all of the highs and lows of your latest run down the mountain. On our second run of the day, a camera tragedy struck. My GoPro Hero7 Black fell out of my pocket on Schoolmarm and despite my efforts and the helpful staff at Keystone it was gone. I’d like to let that person who found and is enjoying a new GoPro camera know that doing the right thing is always the best choice and karma is a real thing, but I digress. 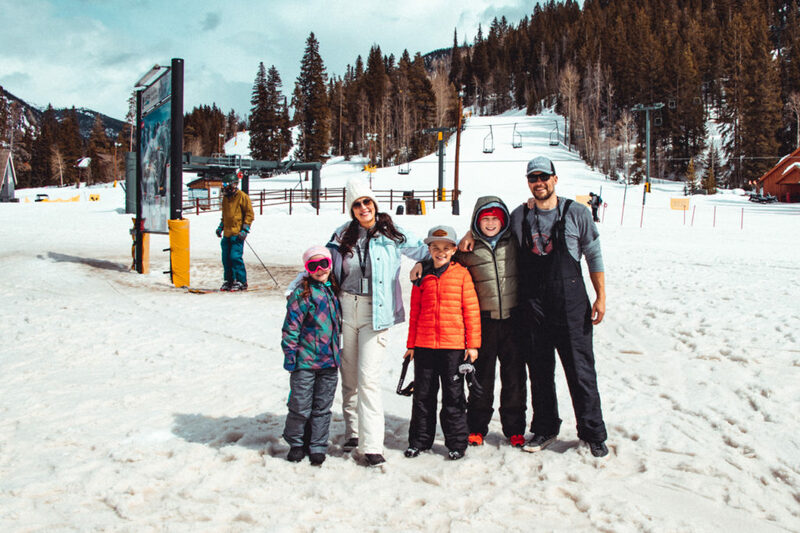 From the short lift lines in April to the perfect conditions and the overall way Keystone runs their operation, day one was a complete success and I even drew praise from my family for not letting the GoPro mishap bring down my mood. Waking up to another dusting of snow we knew hitting the slopes early would be a good idea. It was our last day skiing. 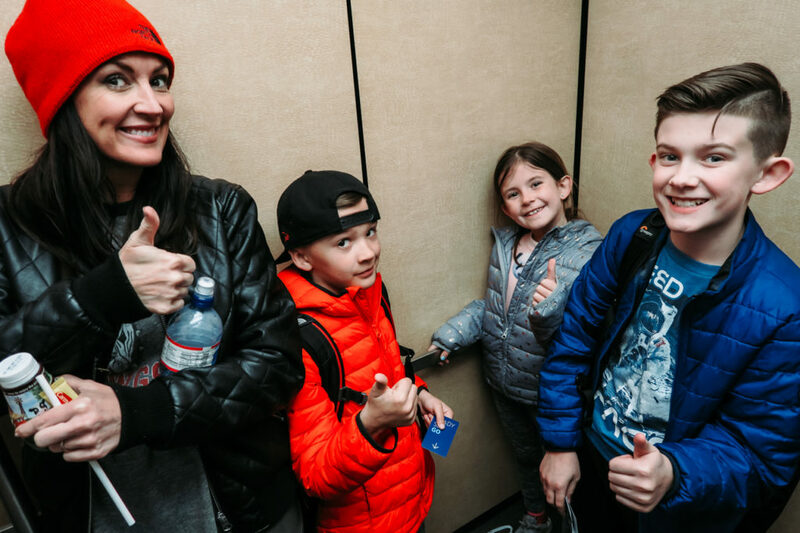 On day one, as we were walking to the Peru Express lift, I noticed a parking lot that offered free parking for families right at the lift. We took the car on day 2 and that saved our legs from walking in ski boots. Keystone caters to families and I must give a tip of my cap to them for offering up that parking spot. One of the main questions we had before we arrived was what do we do about eating? My wife and I both carried backpacks. Mine was mainly filled with my Canon 80D and lenses along with various other components. But Jennifer carried lip balm, granola bars, water and Slim Jims to help out on those mid day cravings. On day one we ate lunch at the Mountain House at the top of the River Run Gondola. It was okay, pretty packed and offered up pizza, burgers and chicken fingers. All adult entrees ran around $12 to $16 including pizza slices. We ordered a round of chicken fingers and a huge slice of pizza shared all of it and only spent $35 for lunch. Day two we decided to stop off at Go Big Burger located at the Mountain House Lodge and again, it was okay. We split a couple of cheeseburgers and a grilled cheese amongst the five of us and all of that plus a beer came out to be $40. The beer was only $5, which seemed fairly priced at a ski resort. Overall, skiing on day two was very similar to day one. 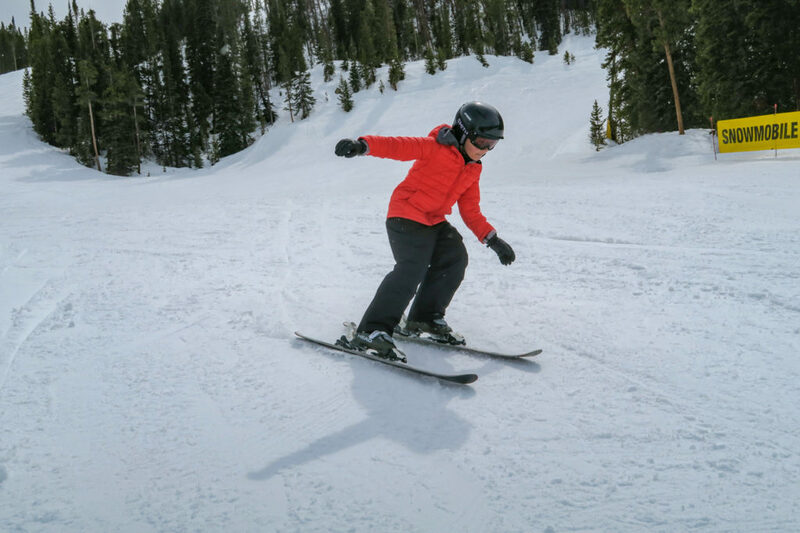 Great weather, short lift lines and a lot of fun to be had on Schoolmarm. We did take a few blue runs. Flying Dutchman and River Run were two of my favorites. But for families, Schoolmarm is where it’s at. Sure, it’s a green run, but don’t let that fool you. There are moments of high speed potential, relatively steep grades and more than enough breathtaking views of the village down below. The best part about Schoolmarm, besides it being so long is that towards the bottom of the mountain you can choose which direction to go. Take Ina’s Way to the right and you’ll end up at the Gondola. Stay on Schoolmarm the entire way and you’ll end up at the Peru Express. We survived and we all became better skiers during our two days at Keystone. 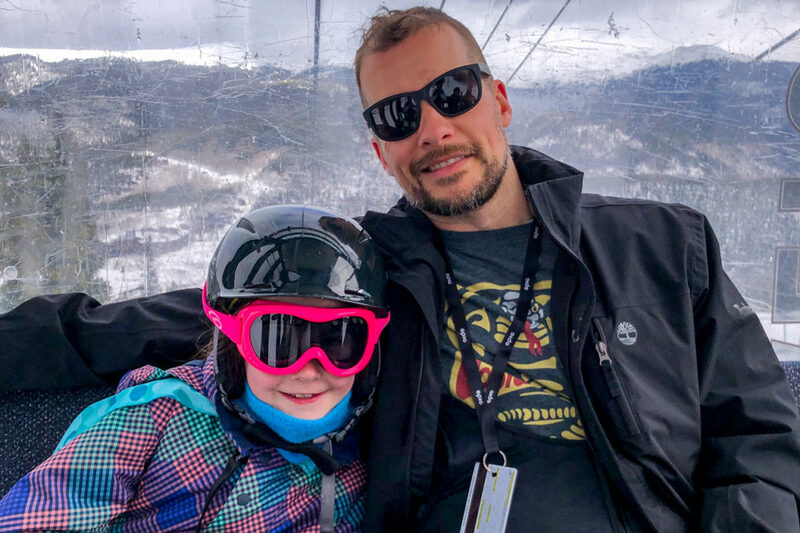 If you’re reading this and have been considering a family ski trip out to Colorado, your planning has already been done. 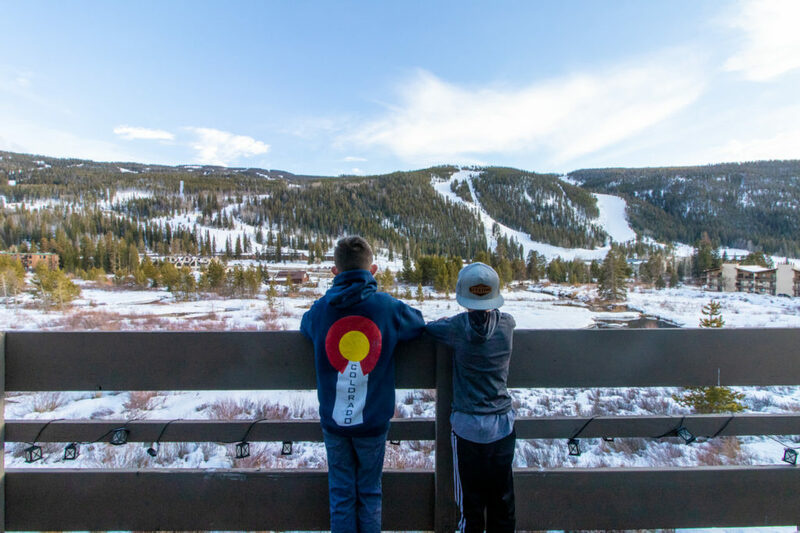 I’ve provided a link to the most perfect Airbnb condo within walking distance to one of the most family friendly ski areas in the Rockies. You might not want to drive there like we did, but whether you go by car, train or plane don’t put it off any longer. Just book it. April 4, 2019 | Yes, you read that right. There was never a thought of retracing the same path back to Georgia that we came in on. Knowing that it was only Thursday and Monday was the day we had to be back home, we didn’t mind taking a longer route. So that last evening at the Airbnb, Jennifer and I discussed the route home. The choice was made to head south. Leaving the Airbnb in Keystone was tough for a few of us. Driving east on I-70 through the Rocky Mountains after your ski vacation is over is kind of depressing. The beautiful, abundant snow starts to literally fade away with each passing mile. It’s a fun drive though. 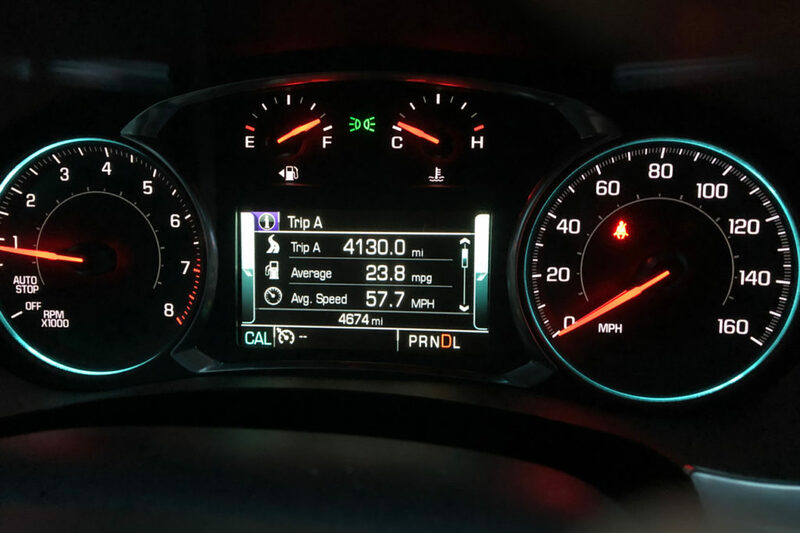 High speeds, tunnels, steep grades and our Chevy Traverse handled it well. When heading south out of the rockies, it’s probably best to take the bypass road. We had already seen Denver so we jumped on 470 and took it to Centennial, Colorado where we hit I-25. The first main city you get to is Colorado Springs, home of the United States Air Force Academy. It’s hard to miss the beautiful vistas of Pikes Peak. The views follow you for about 10 miles as you pass through the outskirts of the city on the interstate. Thinking back, I wasn’t too keen on the route from Colorado Springs to the New Mexico border as I was driving it. I think it was mainly because of the 700+ mile distance and knowing we’d be in the car for 12 hours. However, thinking back, once you get south of Pueblo the views are absolutely stunning. It is flat, real flat. But the benefit is that you can see for hundreds of miles in all directions (my guess). Sometimes you get lucky and pull off the road at the perfect time. That luck came in handy when we decided to stop and grab this unique photo near Trinidad, Colorado. It was gorgeous and made the perfect photo. 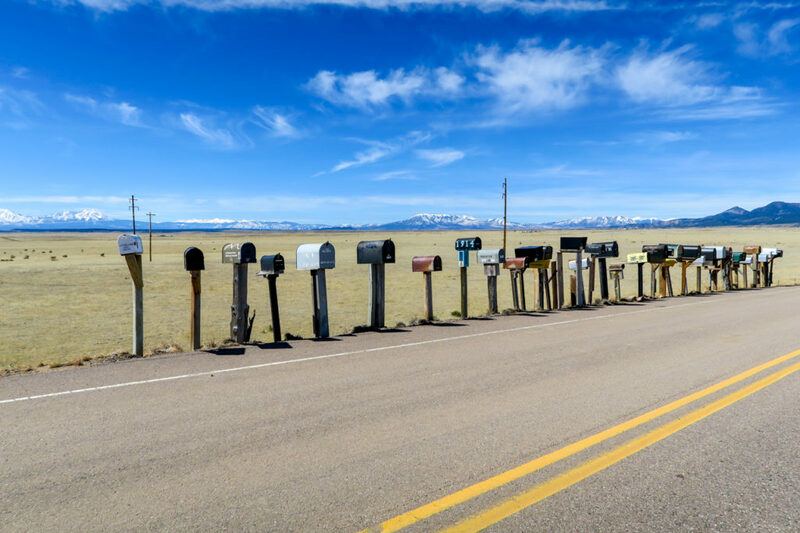 A of a row of lonely mailboxes with the southern rockies rising in the distance. I uploaded this image to my Adobe Stock account. Feel free to buy a copy! After passing through Trinidad, Colorado on I-25 into New Mexico we had to turn off of the interstate. I didn’t know what to expect riding on Highway 87 and was a bit nervous. I pictured a desolate two lane road that might take double the amount of time it should have. I was worried we might run out of gas and be stranded in the middle of nowhere. But to my delight the road was a four lane with few cars, provided that 75 mph speed limit and comprised beautiful views for as far as the eye can see. It was cool for the kids to add New Mexico to their list of states visited, but after about two hours we entered north Texas. The very first town we reached was Dalhart, Texas. It is a railroad town, which was pretty obvious with all of the multiple long haul trains we saw while passing through. We actually saw a lot of trains during our drive. Trains and Texas makes sense to me because my grandfather who was from Baytown worked on the railroad. I grew up with that association and our drive to Abilene did not debunk that personal theory. 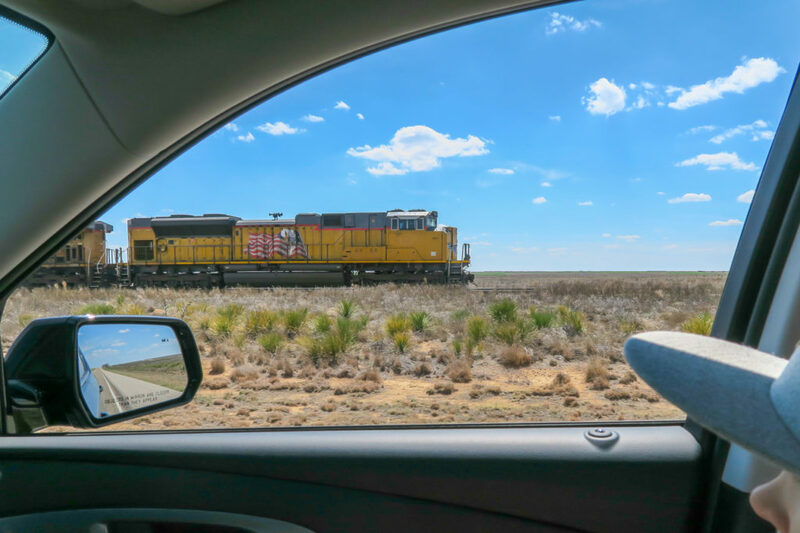 Union Pacific engine headed west on the New Mexico/Texas line. Adobe Stock link. The pace was much faster for this long haul than our previous long drive from Tennessee to Kansas. Distances between cities and towns are so vast in Texas, but often times you can see the city on the horizon even as it’s miles and miles away. I was pretty convinced I could see Amarillo, Texas as we passed through Dumas, Texas. Those cities are about 50 miles apart. We made it through Amarillo, Lubbock and Post, Texas (we stopped to eat and stretch our legs. We’d done about 600 miles at that point. 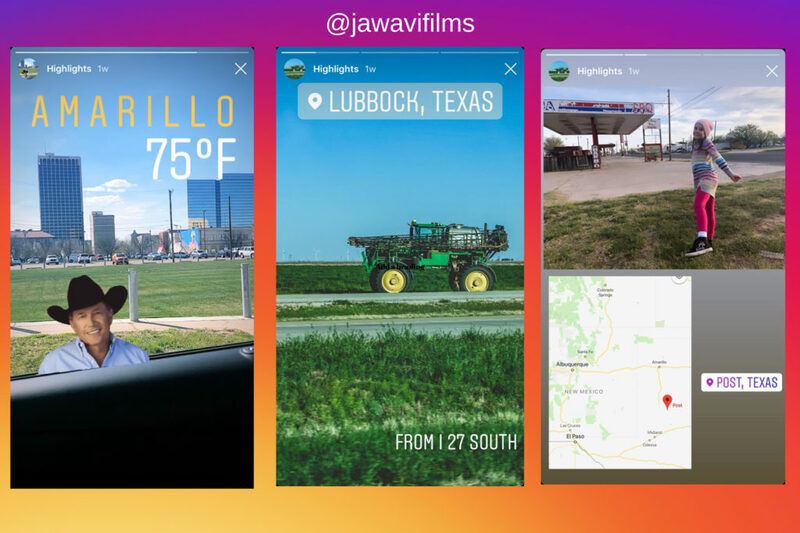 I did have a lot of fun with my Instagram Stories as we made our trek through the Lone Star State. Post, Texas is 123 miles from Abilene. Say you live in the east or south as I do, if you jump in your car and realize you have a 123 mile drive ahead of you, you’re dreading every second. When you’ve been driving through the western states, 123 miles feels like you’re almost there. 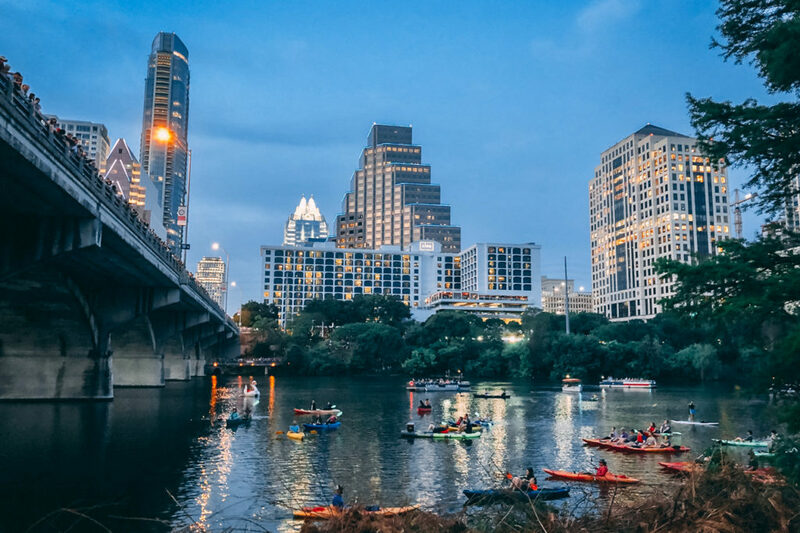 April 5, 2019 | Who doesn’t want to visit Austin, Texas at some point? At the beginning of our trip as we were planning, hitting up Austin was not something we had even thought about. Lucky for us, Jennifer and I agreed during our last night in Keystone that if we made that long drive through the southwest on Thursday, our payoff would be a Friday night in Austin. Yes, please! We departed our hotel mid morning on Friday for our 3+ hour drive southeast. We noticed a transition during our drive from Abilene to Austin. 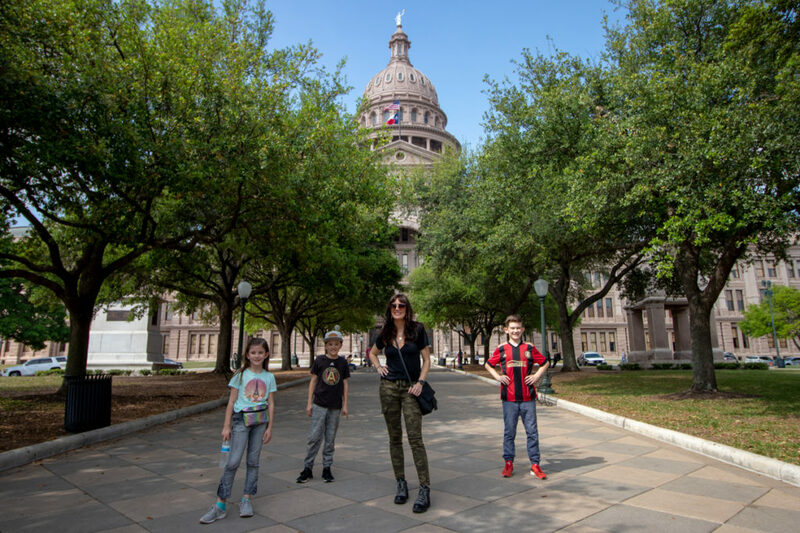 As you get closer to the Texas state capital, the landscape becomes more green, more lush and you realize you can’t see as far as the eye can see anymore because of the abundance of trees. We really hadn’t seen many trees since somewhere in central Missouri on our way out to Colorado. It looked almost similar to the landscapes we’re used to here in northeast Georgia. Our original plan was to eat at some awesome taco food truck in Austin, but that wasn’t going to happen – mainly because Texas is huge and it takes forever to drive from city to city, but I digress. Eventually we made it to our Friday destination and lucked into a chamber of commerce day in Austin. Located close to the Ann Richards Bridge (where the bats fly out at night). 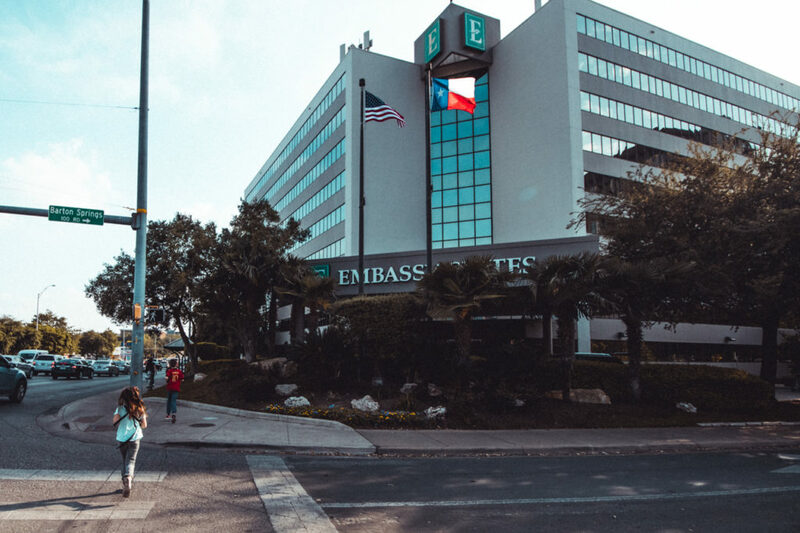 First, let me brag on the Embassy Suites located on South Congress. Traveling as a family of five, rooms with pull out sofas are super important. The prices online were showing up with only one room left and for a way-too-expensive price of around $350. I get it. Beautiful day, Friday night, great location. But I pulled up to the hotel and spoke to Aisha and with a little help (and smile) from my 10 year old, she got us a great rate with an even better view of the city. So thanks, y’all. We made the most of our 19 hours we had in Austin. Too much to break down all of it (as if this post isn’t way too long already). So here’s a quick recap. JennySue Makeup and her band of merry travelers (I’m hardly in any photos). Walk up South Congress to the capital building. It’s stunning. There’s plenty of cool shops and restaurants along the way. Bluebonnets are abundant in Austin. 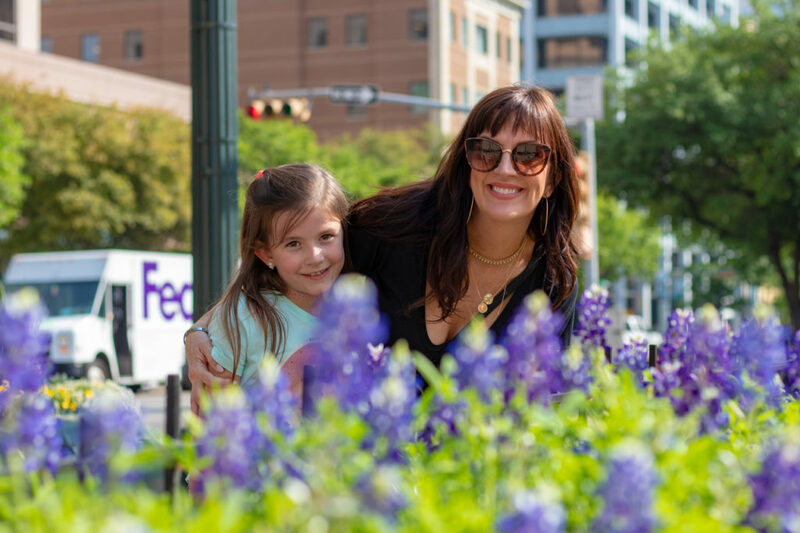 Find bluebonnets and take a photo with them. They’re the state flower of Texas. Pretty, huh? Scooters are abundant. 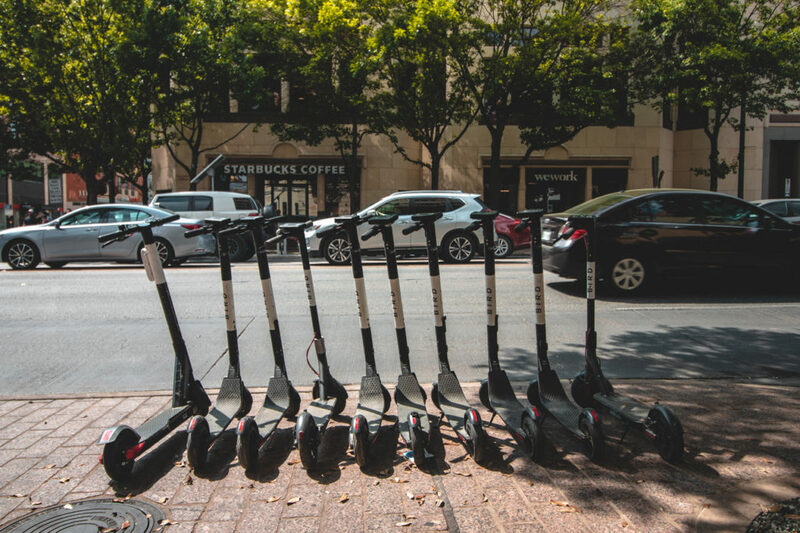 Scooters are too abundant in Austin. Look out for scooters. They’re great if you need one. But most of the time you are dodging out of the way. Not hating on them; I’m just stating the facts. 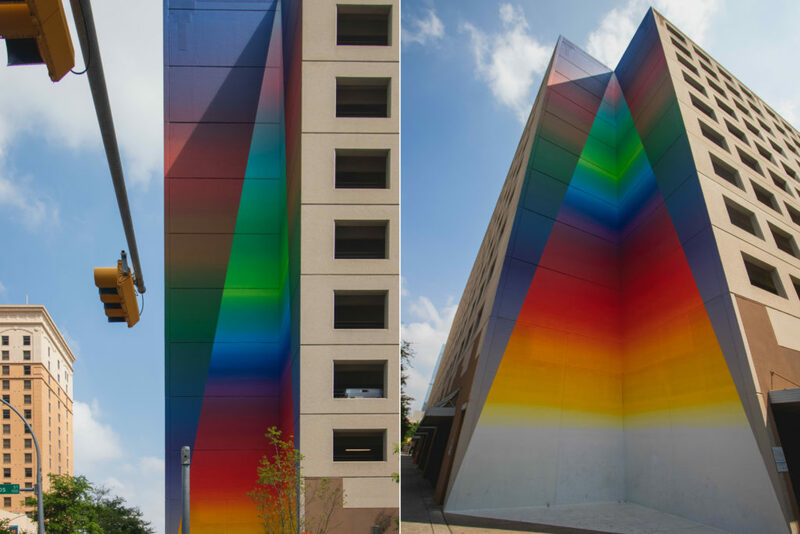 Josef Krisfoletti’s “Tau Ceti” mural near Brazos Street. See art in Austin. It’s all around you. Murals, galleries, graffiti and much more. We were lucky to have stumbled onto Josef Krisfoletti’s mural seen here. There’s the one and only Yeti flagship store. You can buy a any color, any cooler, any mug. Anything that Yeti makes and then some. 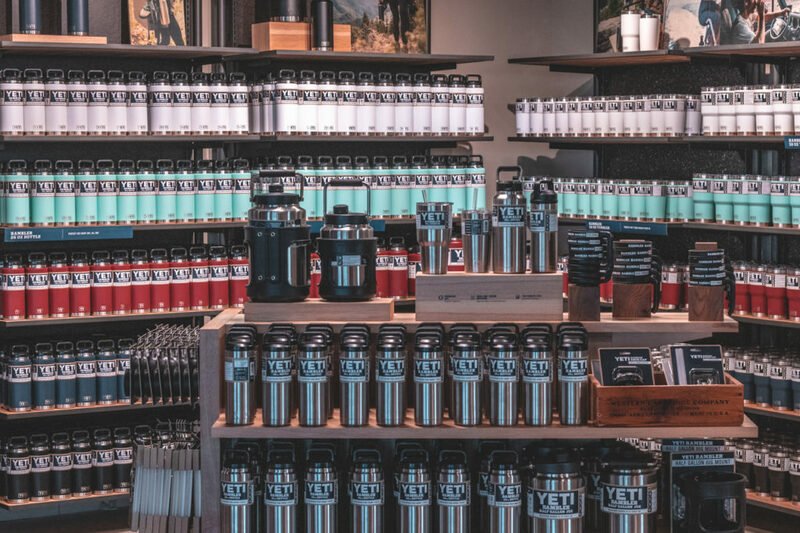 Plus, if you buy a tumbler or something that holds liquid you get a free drink at their bar. Yeah, they have a bar there too. Ann W. Richards Congress Bridge is where you see the bats at night. See the bats. They’re not pictured in this photo, but as you can see with the crowd on the bridge and in the water, it’s a popular attraction. We were there in early April and they started flying out around 8pm. Definitely see the bats. 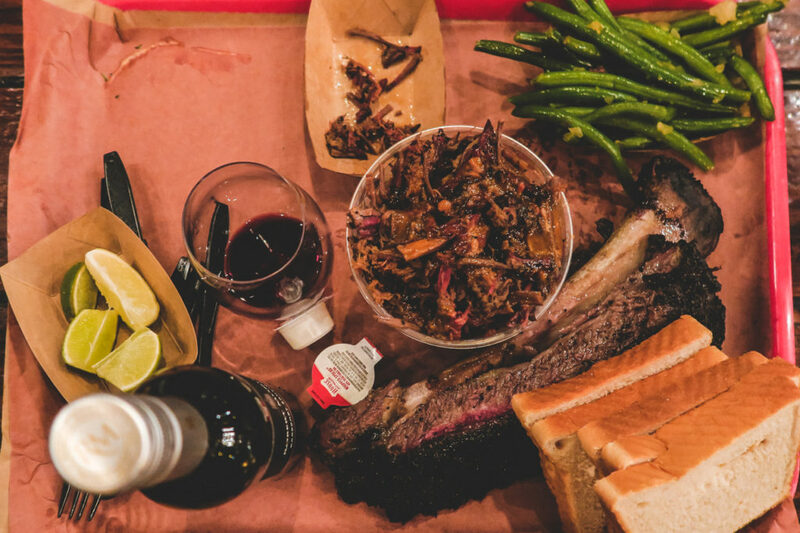 Eat BBQ, or tacos while in Austin. We didn’t eat tacos. We wanted to eat tacos – it just didn’t work out. But, we made it to Terry Black’s Barbecue and it brought the true Texas BBQ flavor, which is delicious and completely different than what we get down here in Georgia. So good. 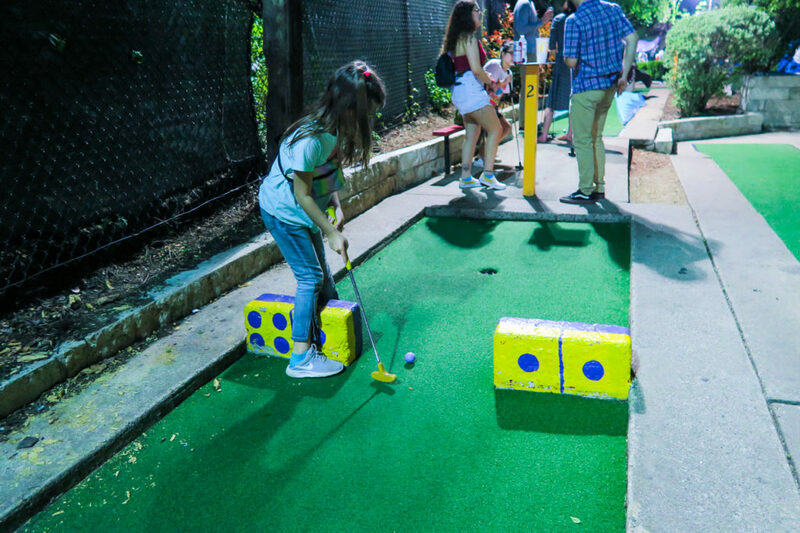 Play Peter Pan Mini Golf. It’s been open since 1947 so you’ll get that classic vintage feel. There are two 18 hole courses. It’s fairly cheap, it stays open til midnight and their BYOB policy makes it even more fun. 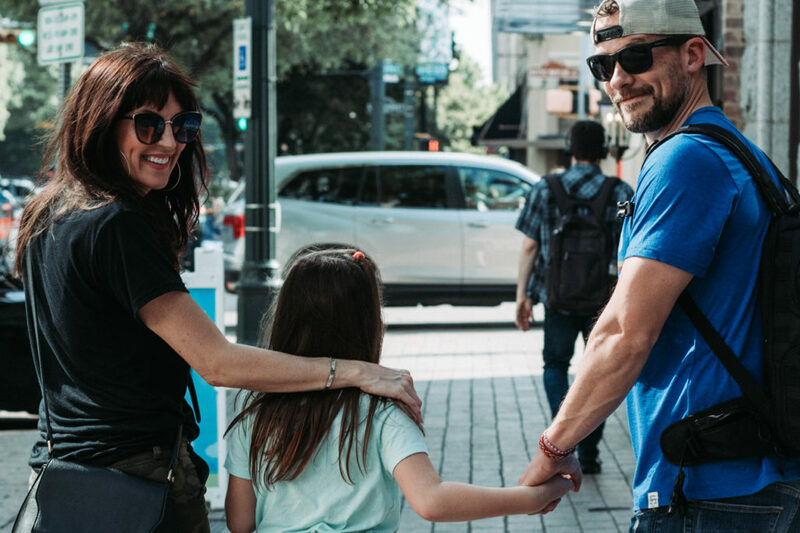 Throughout the city of Austin you’ll see the saying, “Keep Austin Weird” printed on shirts, placed on signs and used in art. Not only will you start repeating it to yourself and the friends you’re with, but you’ll soon begin to buy in and believe it. Austin is weird. It’s a good weird and definitely a place you’ll want to soak in because there’s no other city in the great state of Texas quite like it. 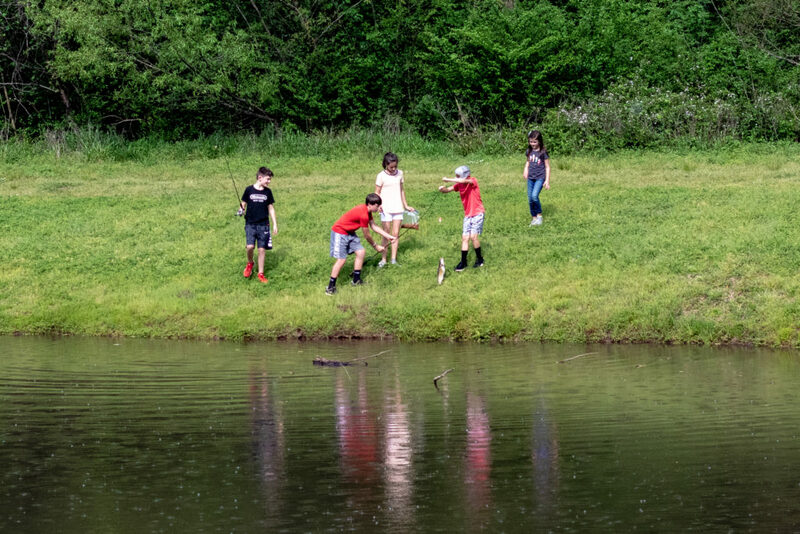 April 6, 2019 | The penultimate day of our epic spring break road trip provided us another relatively short drive. A 162 mile jaunt to Houston. The state highways in Texas are pretty good, but why is there no dedicated interstate or spur between Austin and Houston? 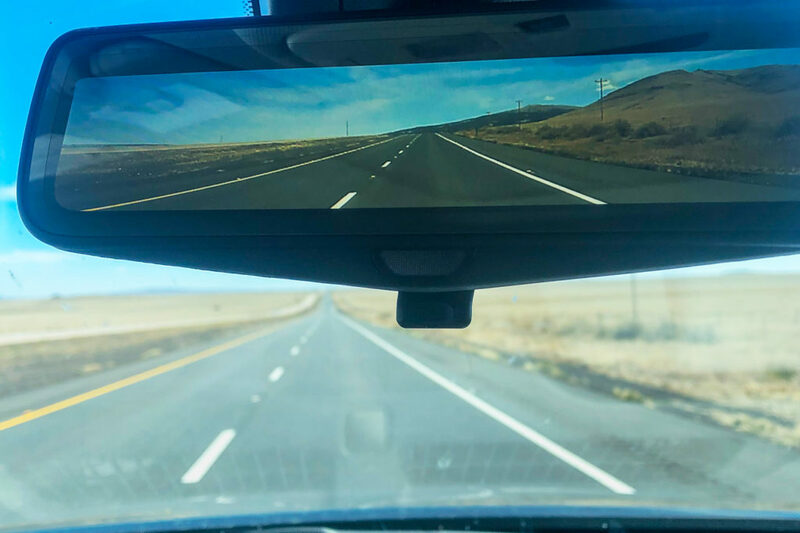 For the first 90 miles of your journey, you’re at the mercy of traffic lights and speed traps as you roll through small towns on the outskirts of the capitol city. I have a long history with Houston. My mom was born and raised in Baytown, Texas (a suburb of Houston). I grew up proudly stating that I was half Texan (as if that’s a real thing). But it was a thing. Texans probably more than citizens from any other state take great pride in their Texas heritage. So, yeah, I’m half Texan. When I think about Houston, I think about NASA. My uncle worked for NASA many years and was in the Air Force. 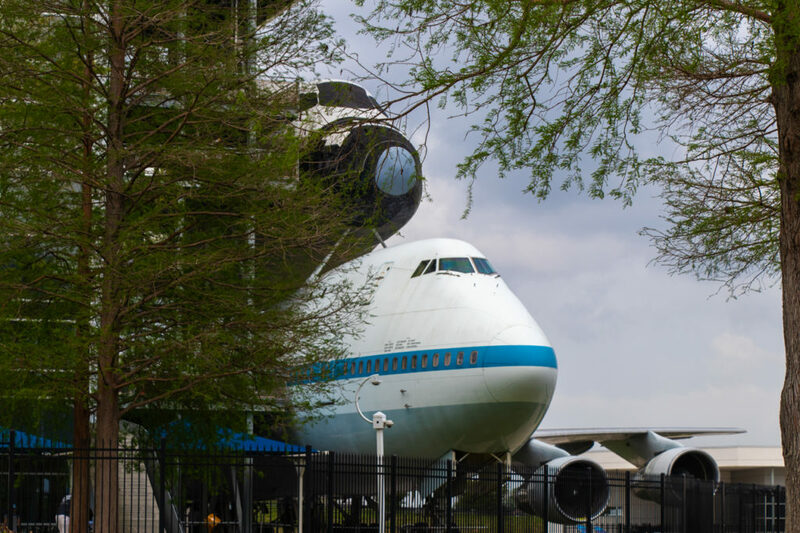 Every time I visited Houston as a kid and adult, the dominant conversations were about space exploration, the Shuttle program and what planes my uncle was flying in at the time. Without a doubt if you visit Houston make time to go to the Johnson Space Center. 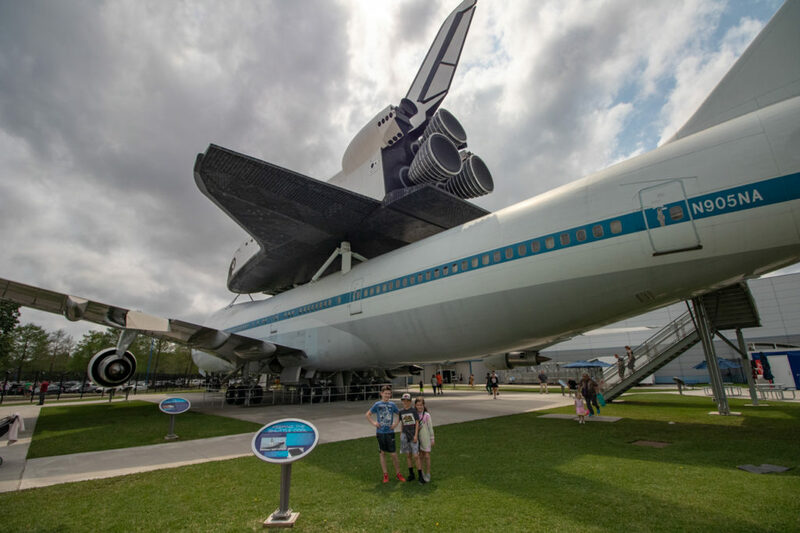 From the interactive experiences for kids to the life sized replicas of planes, Space Shuttles and rockets it is a can’t miss endeavor that will have you in awe about the history of space exploration. We stayed at the Holiday Inn Express & Suites nearby. 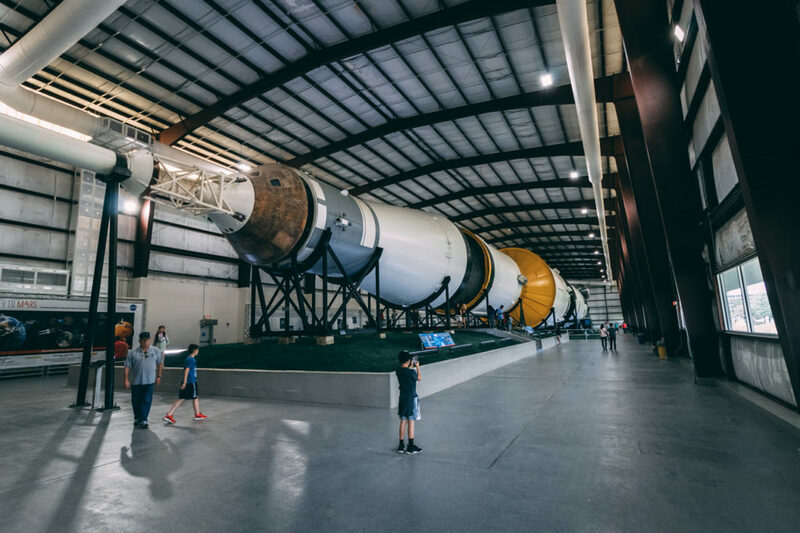 Buy your tickets at the hotel because it’s cheaper and when you arrive at the space center, you can just walk right in. 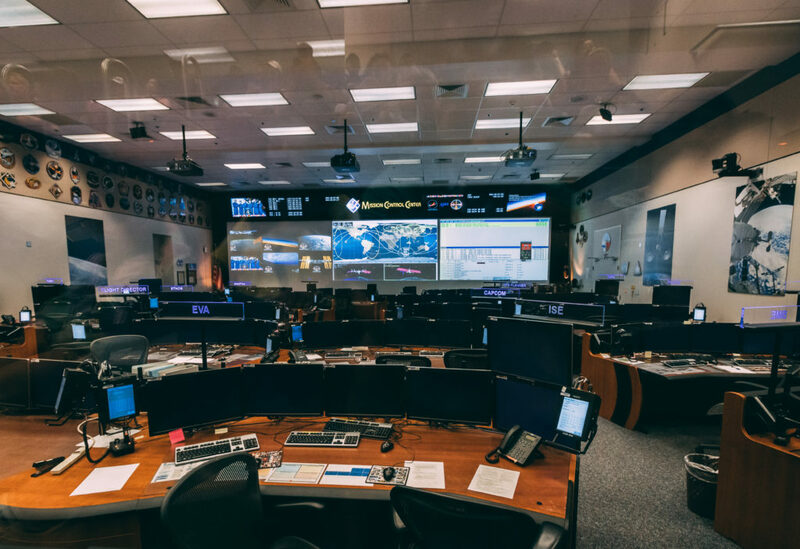 Make sure to take the shuttle tour where you’ll see mission control, which is where they monitor the International Space Station and you’ll learn about the history of space exploration. 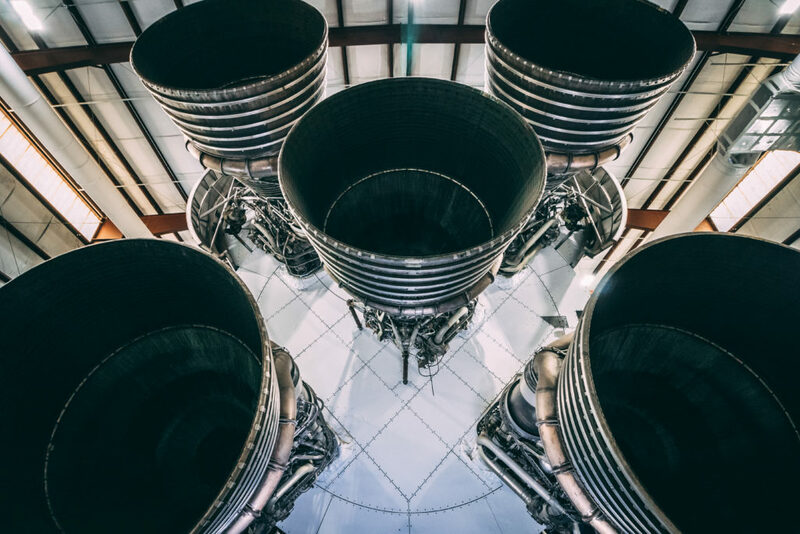 The best part of the tour is at the end when you get to see the actual Saturn V rocket on display. It is oriented on it’s side and is longer than the Statue of Liberty is tall. Similar to when we visited Austin, our stop in Houston was less than one day. We maximized our time in seeing things that are unique and memorable. As we wrapped up our last night in the Lone Star State it was confirmed quite clearly that things really are BIGGER in Texas. April 7, 2019 | You can drive from Houston, TX to our hometown of Athens, GA in one day. It’s only about 850 miles and on this trip we had proven to ourselves that long 700 to 900 mile drives could be done. However, we had one more stop off to make. Jackson, Mississippi is not exactly what you would call a destination spot. For most people it is a place to grab lunch or fill up with gas when heading down I-20. But we have family and friends in Jackson whom we wanted to see. It also served as the perfect halfway point between Texas and home. One of the most noticeable moments for Jennifer and me happened as we arrived in Jackson. The temperature on our car read 86º. Just a few days prior we had a morning low in Keystone of 26º. Spring had sprung while we were traveling. We left our hometown at the end of March wearing jackets and returned to the south in early April needing shorts and t-shirts. April 8, 2019 | It was time. We were excited to know that a seven hour drive was all that stood in between us and getting home. It had been eleven days on the road for us. The great news was that we were all still in good spirits and our money had not quite run out. It was close, but we still had our reserves that we had saved up for months. 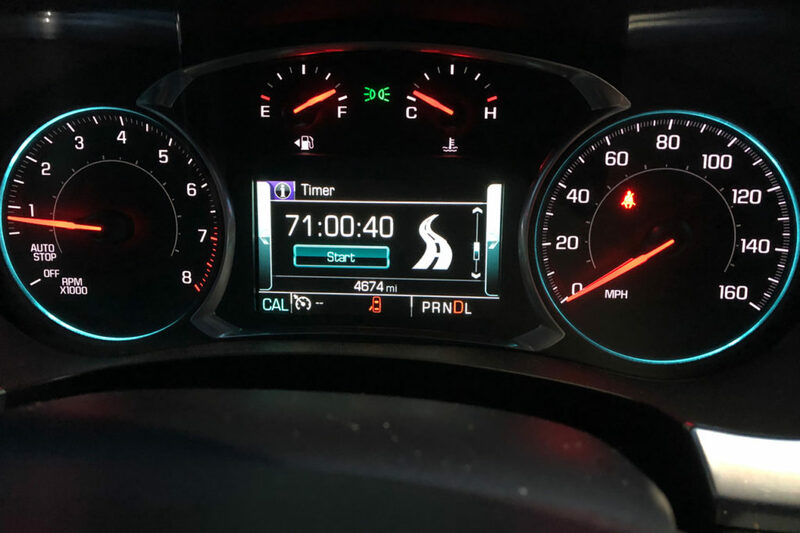 Time spent driving for an 11 day road trip across the country. You can see the photos. You can read the stats. Before we left home, Jennifer, the kids and I had no idea how long our eleven day road trip would take. We couldn’t have even guessed how many miles we would have traveled. Just the thought of driving 4,000+ miles in a matter of days would make most people cringe. But all five of us created multiple flashbulb memories during our journey. In 1977, psychologists Brown and Kulik defined a flashbulb memory as, a memory we have or create about a certain moment in our lives. This is due to the event being significant or surprising. The memory is accurate and quite detailed because of the extenuating circumstances surrounding it’s origin. All told, skiing was so much fun. Seeing parts of the country I had never been to was thrilling, but had it just been Jennifer and me wanting to go on a ski trip there’s no way we would have driven. It was because of family. It was for our kids. There was a bit of nostalgia, for me at least as the end of the trip drew near. 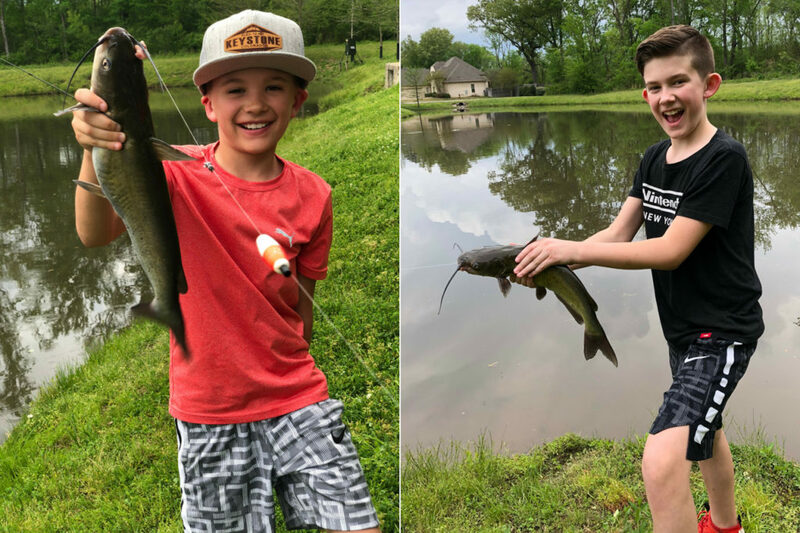 Surely every parent begins thinking about how quickly their children are growing up and it makes them a little misty-eyed. You realize these are the days that you can’t get back. Your children will never be this age again. The dynamics in how you interact will change as they get older. It’s weird, but it’s life and it’s why you take time, make memories and create flashbulb memories that all will enjoy for a lifetime. Absolutely loved this Scott! You almost make me wish I had gone with you. Thanks for the photos and info.